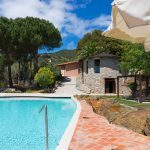 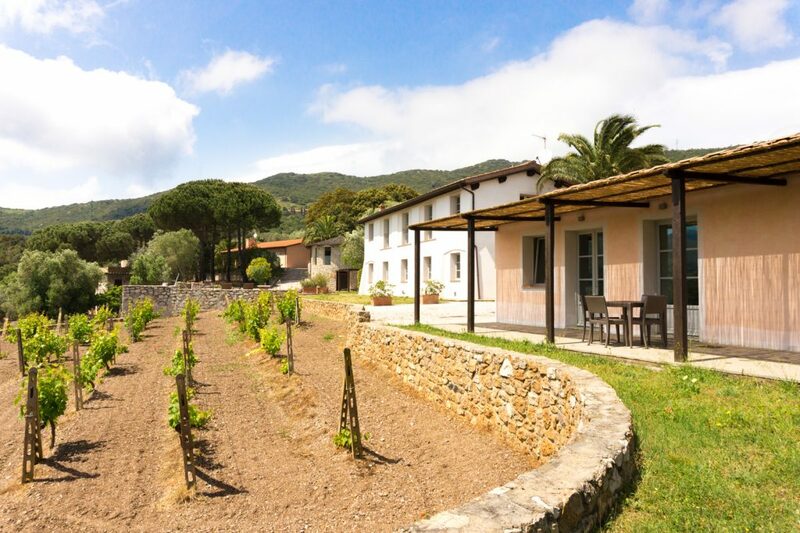 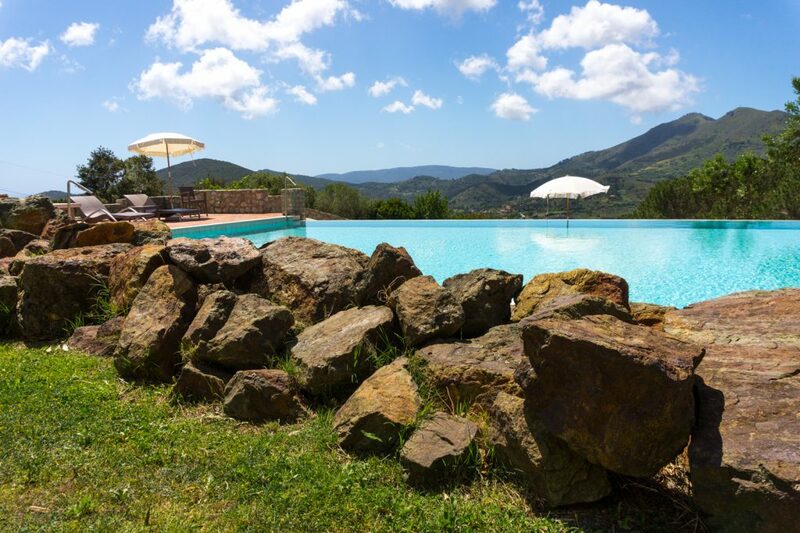 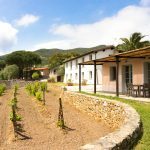 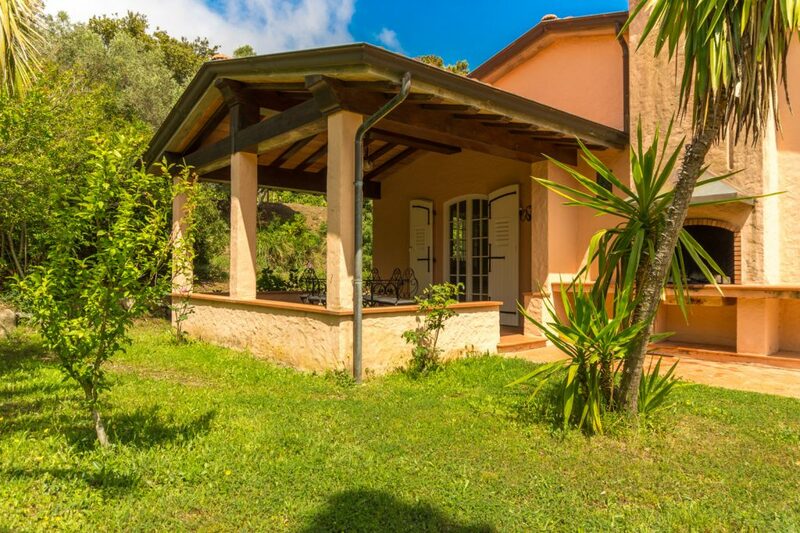 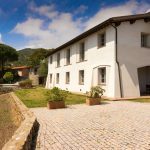 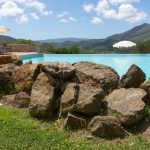 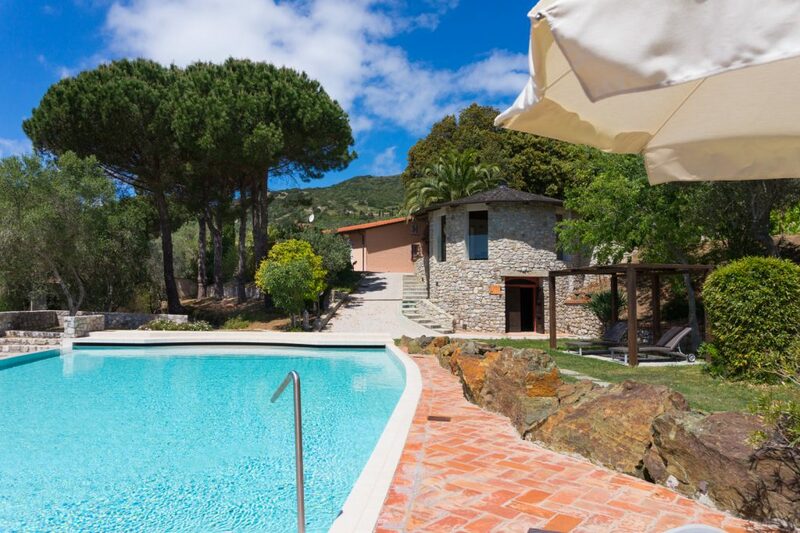 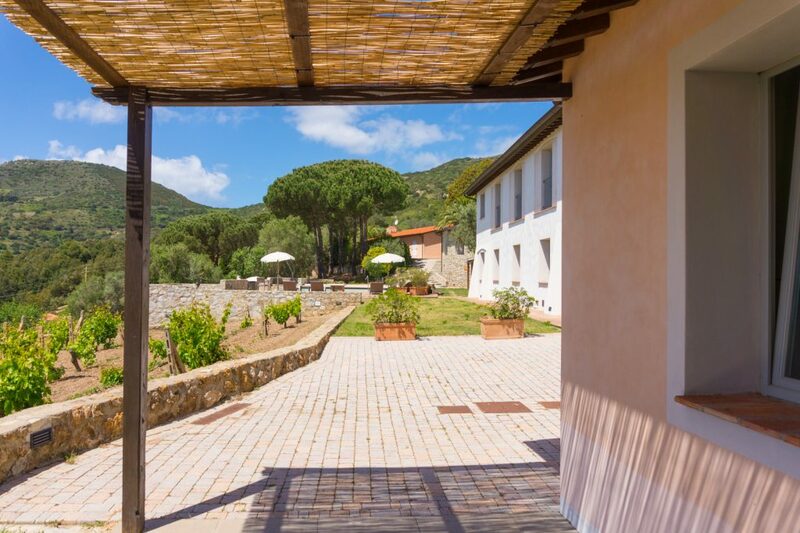 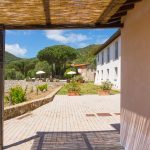 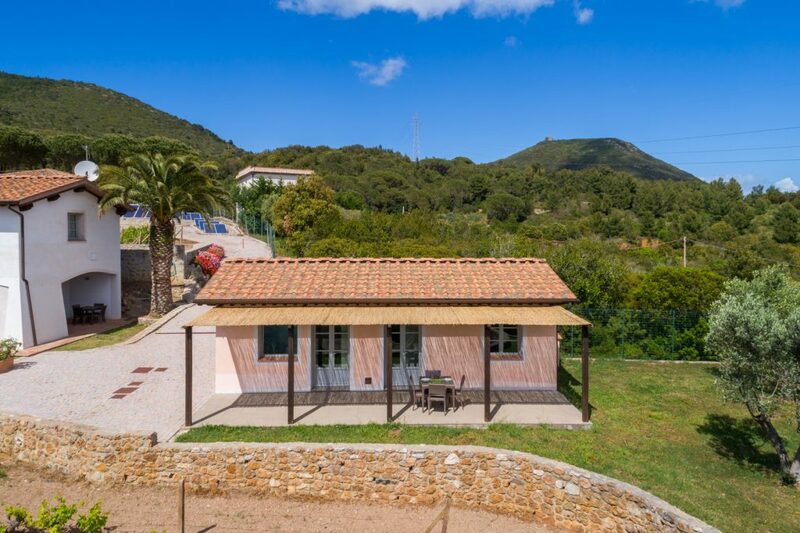 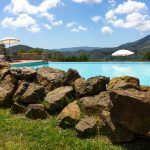 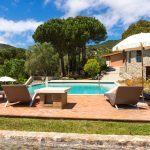 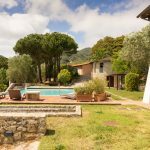 Chiusa di Rio is located just 2 km away from the cosy village of Rio nell’Elba, far away from the mass tourism. 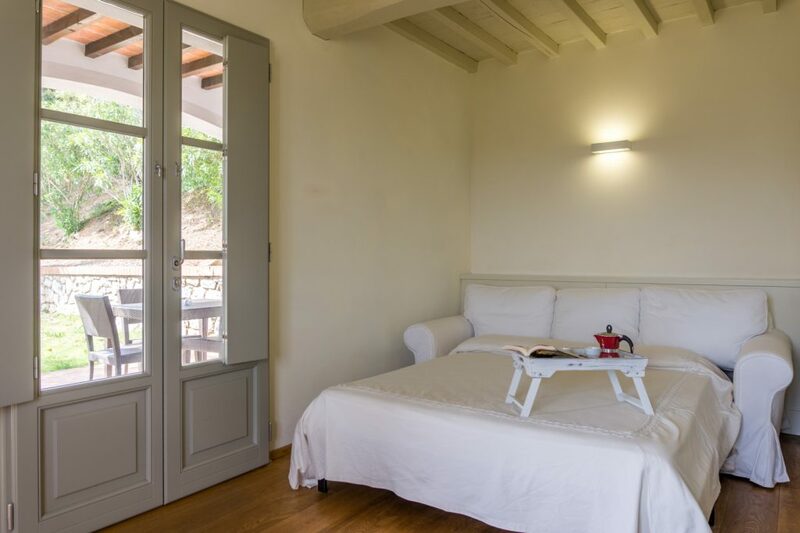 Close to some of the most beautiful beaches of the Island, Chiusa di Rio is set on sweet natural terraces surrounded with country flavours. 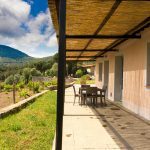 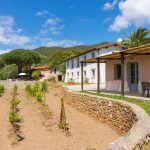 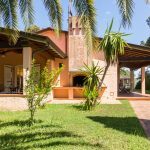 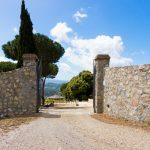 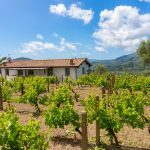 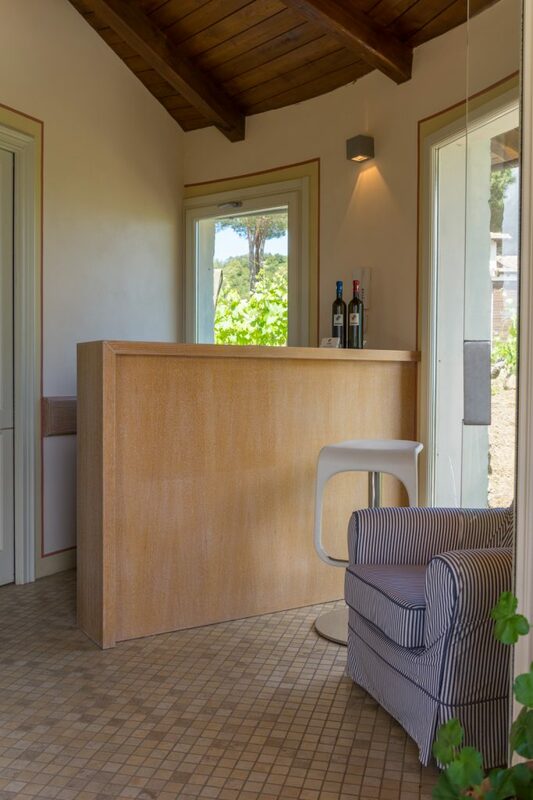 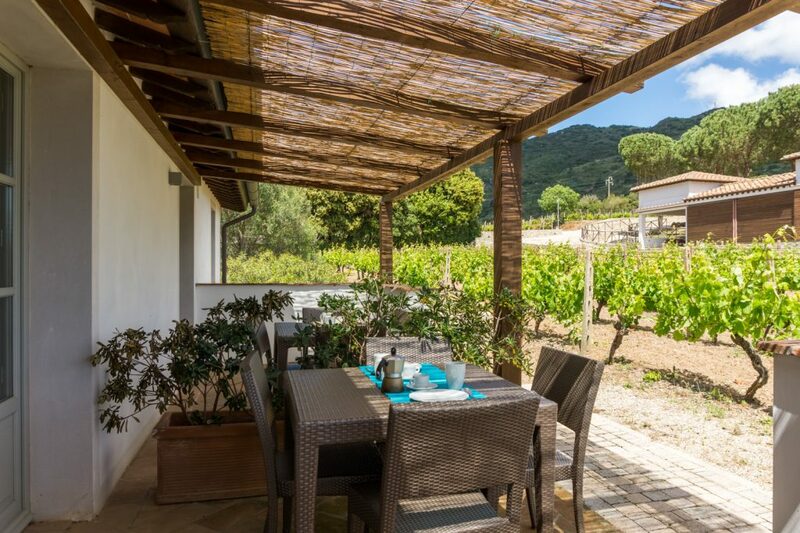 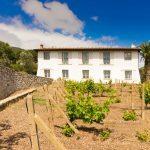 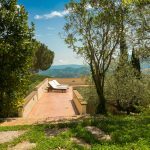 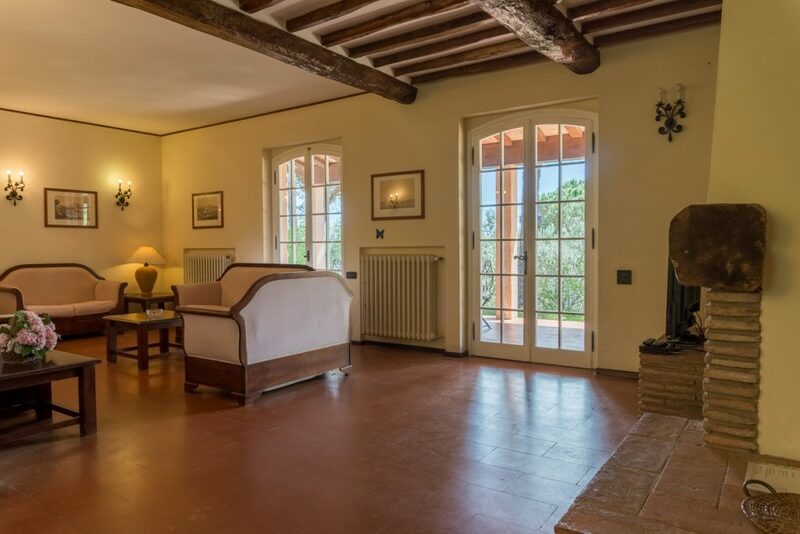 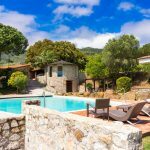 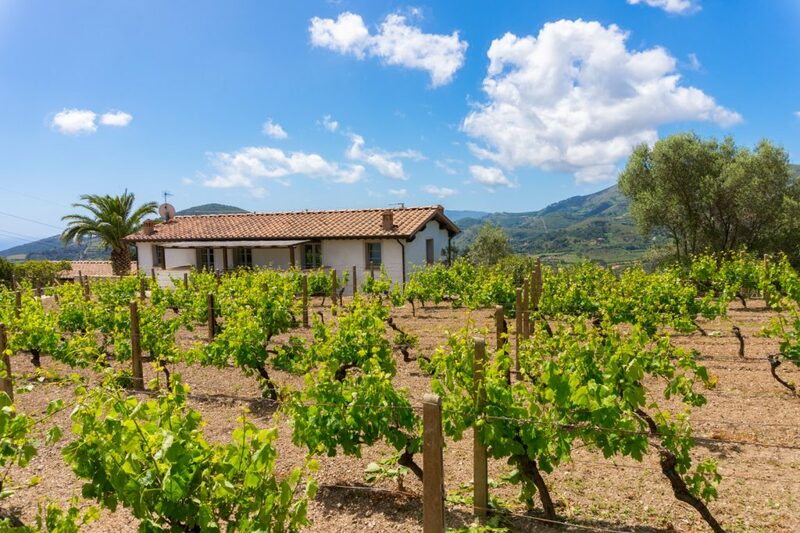 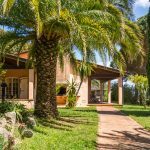 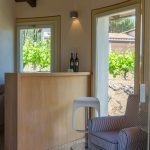 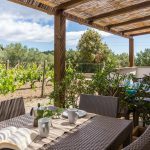 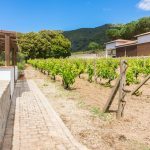 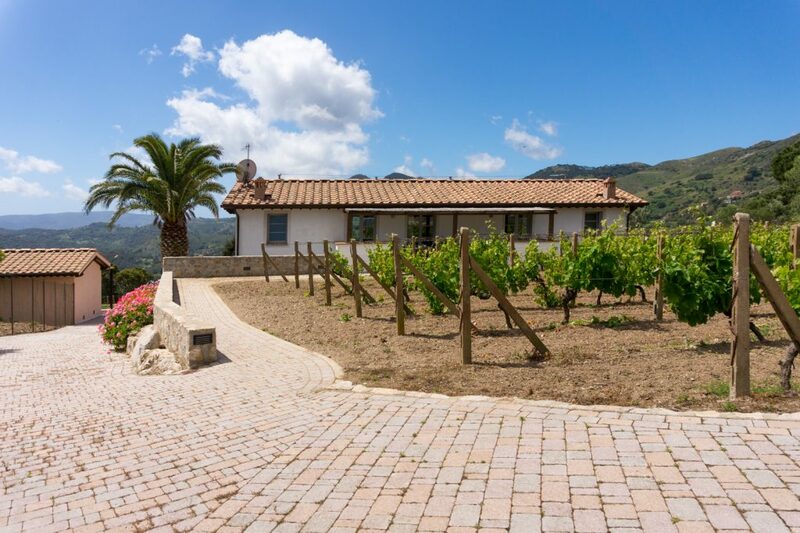 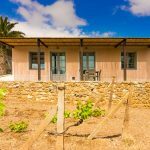 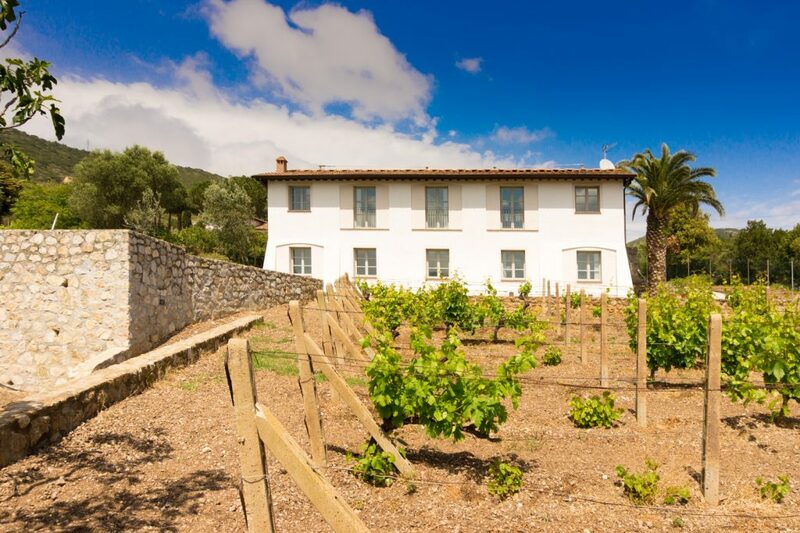 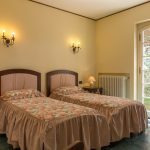 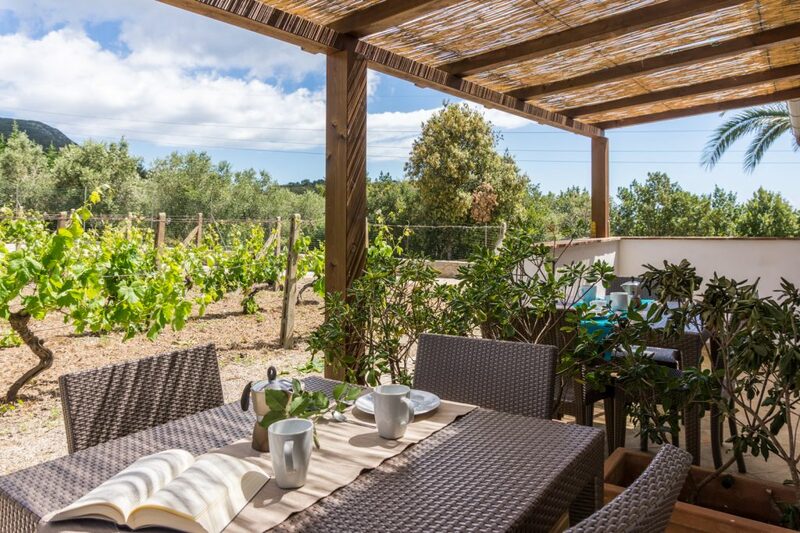 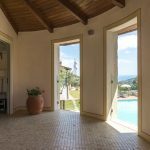 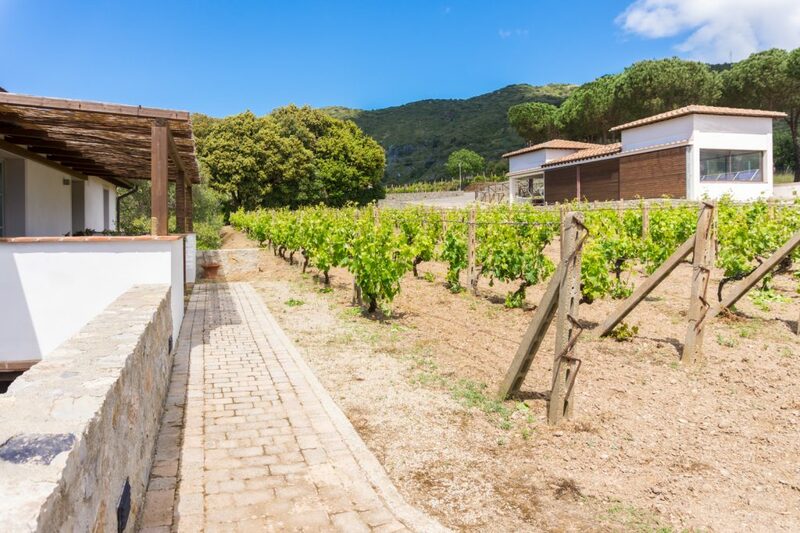 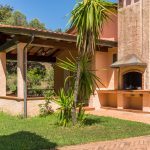 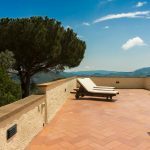 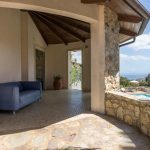 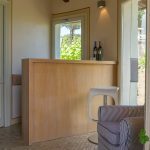 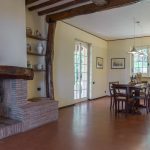 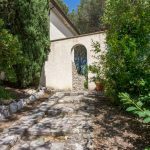 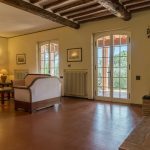 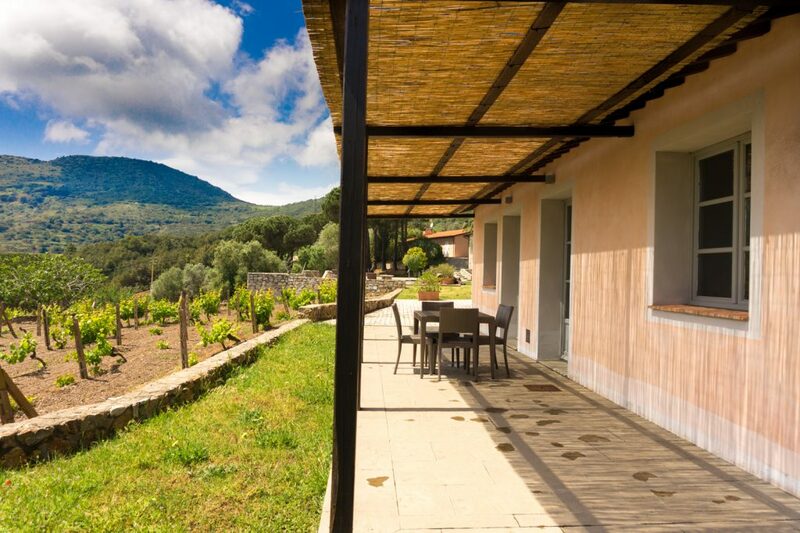 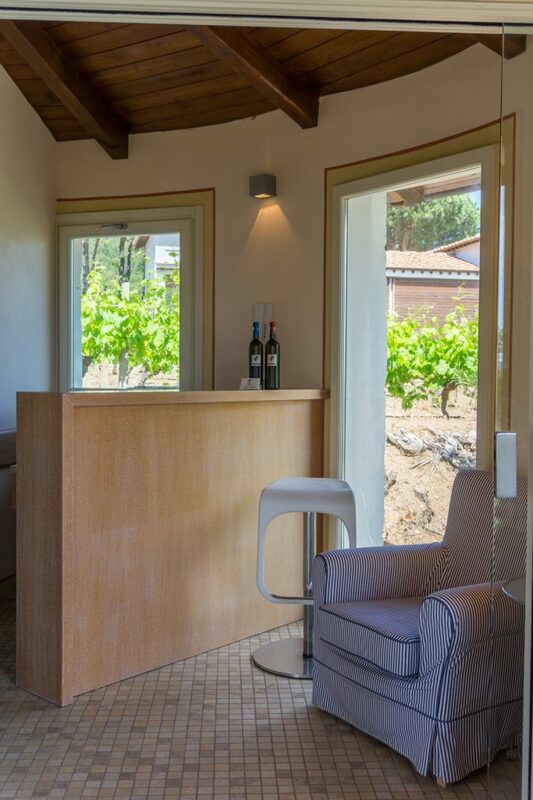 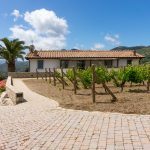 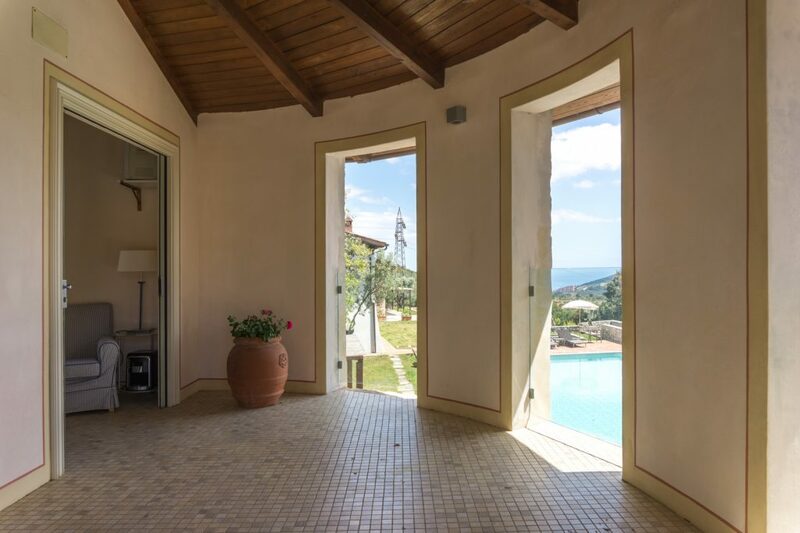 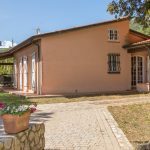 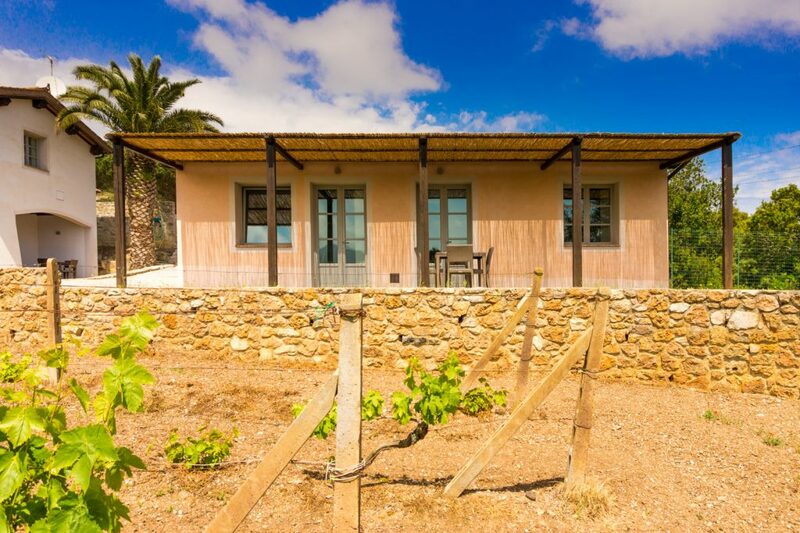 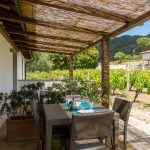 The Residence is settled in an over 1400 sq.mt estate, including an olive grove and a vineyard, both of them framed in a wonderful sight. 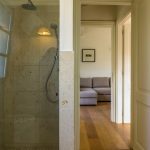 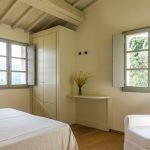 La Chiusa di Rio is divided in different buildings (Villa Grassera, Dependance, La Mimosa), each with private entrance. 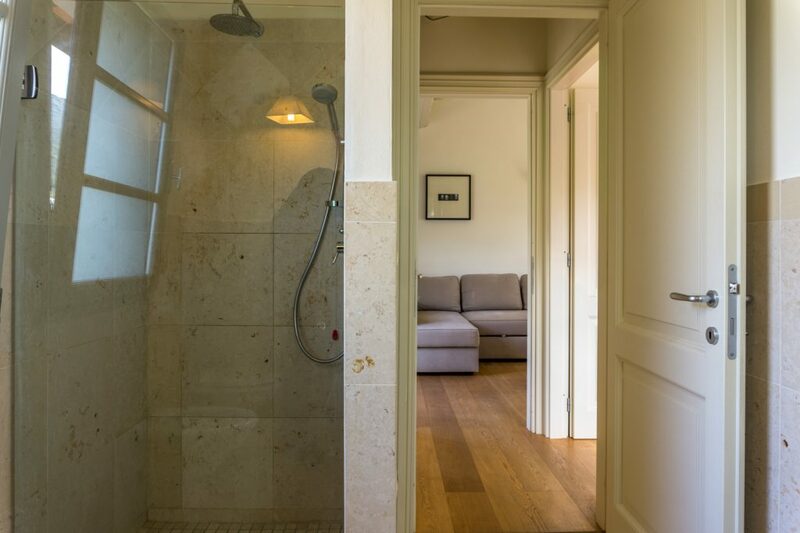 The common area hosts a wine cellar, a panoramic swimming pool (8 x 16 mt), and Kneipp runs. 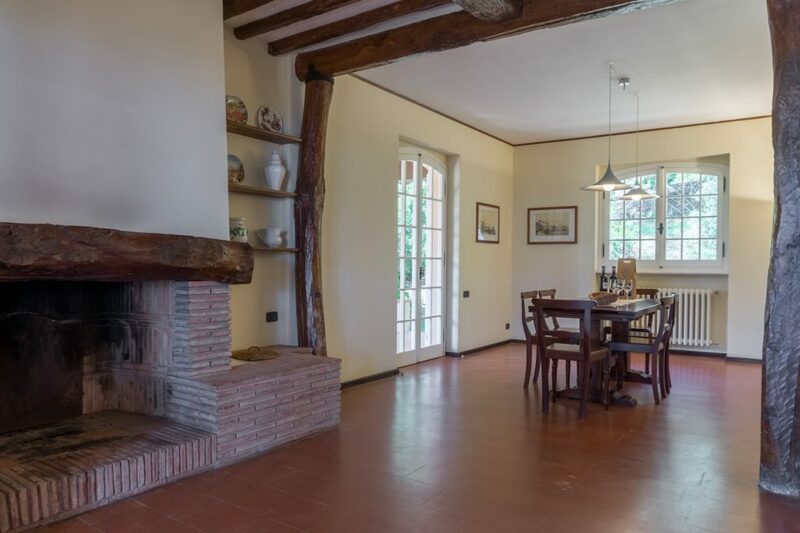 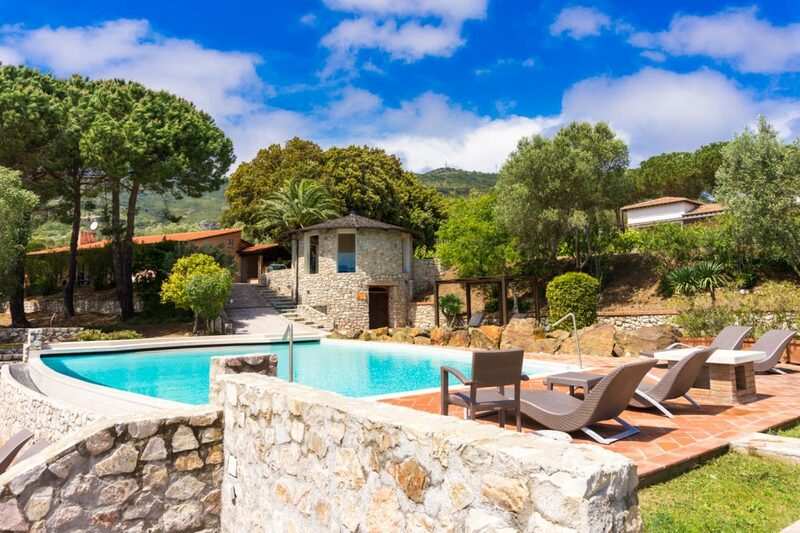 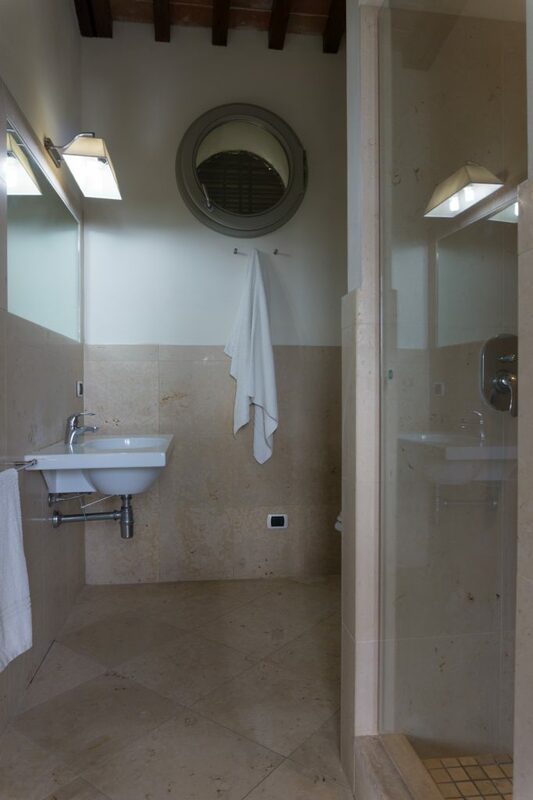 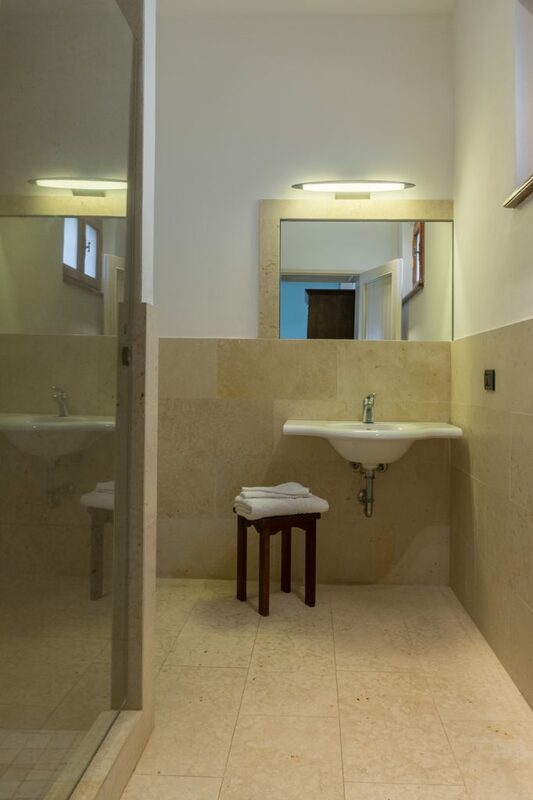 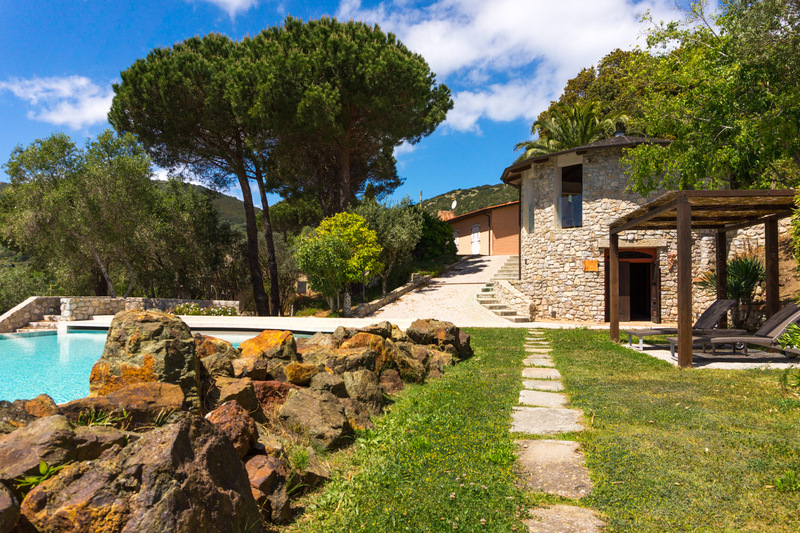 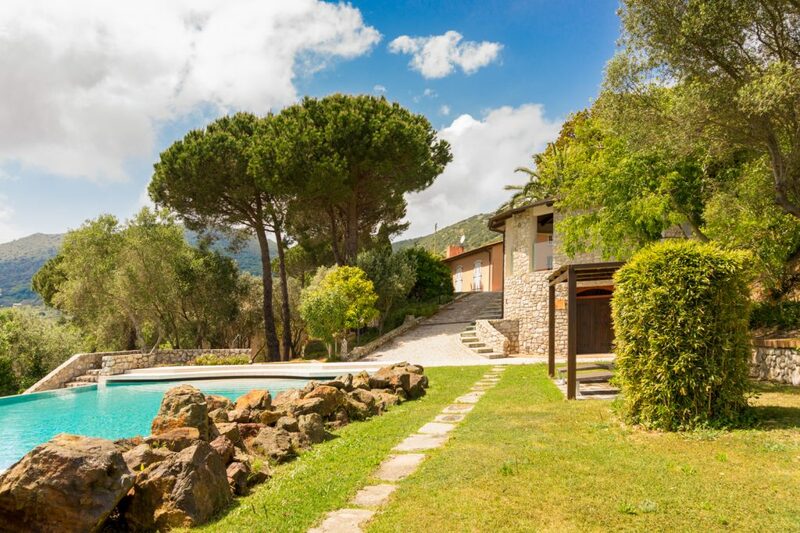 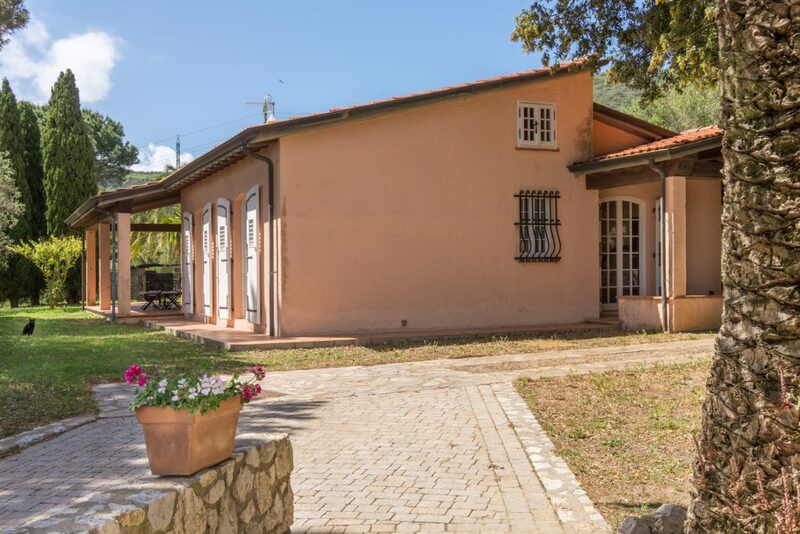 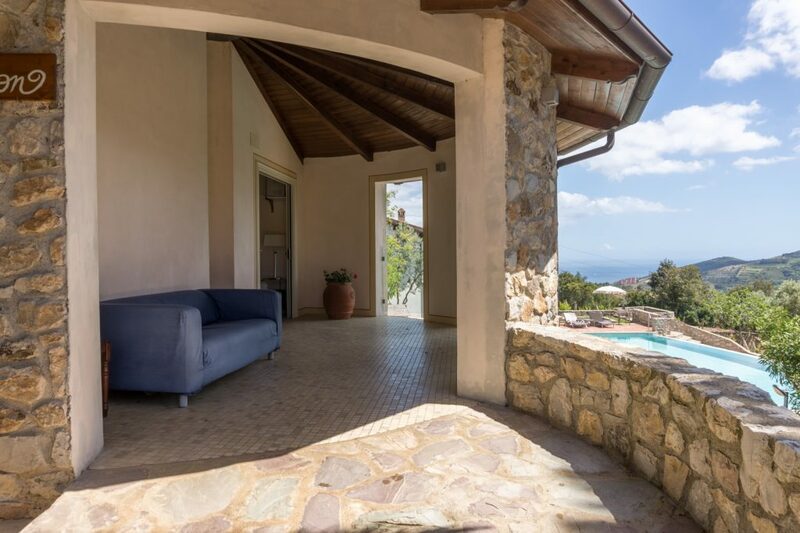 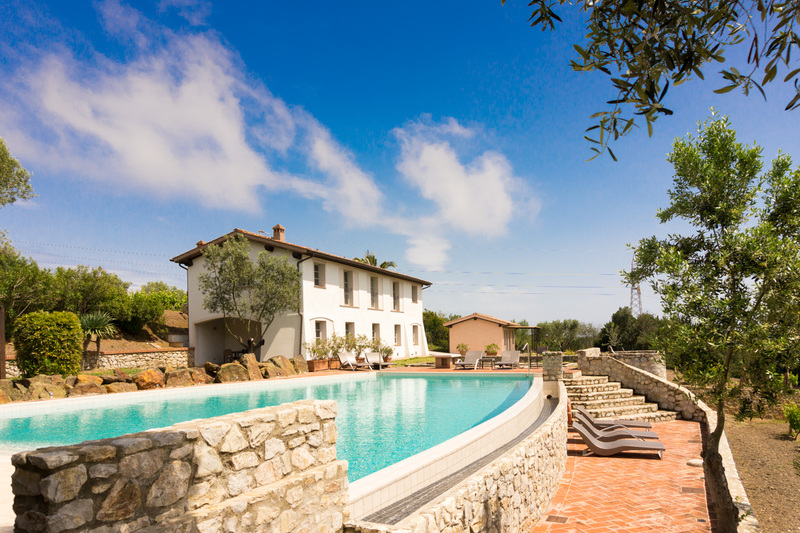 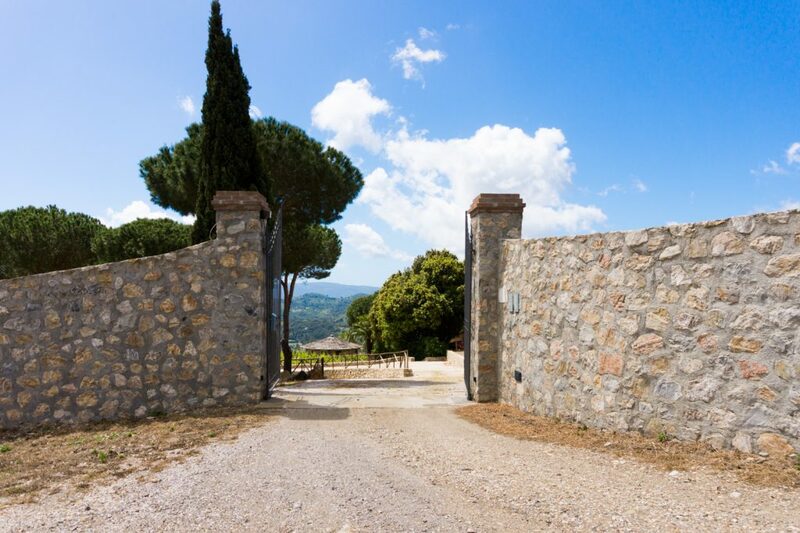 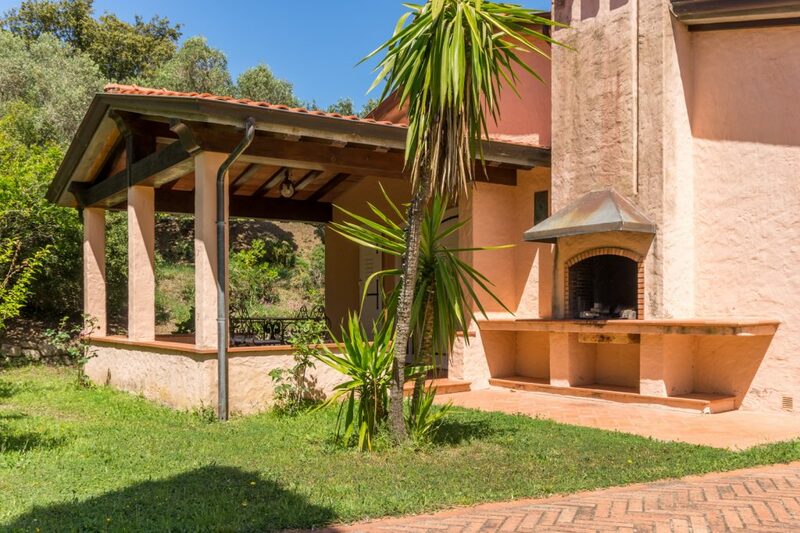 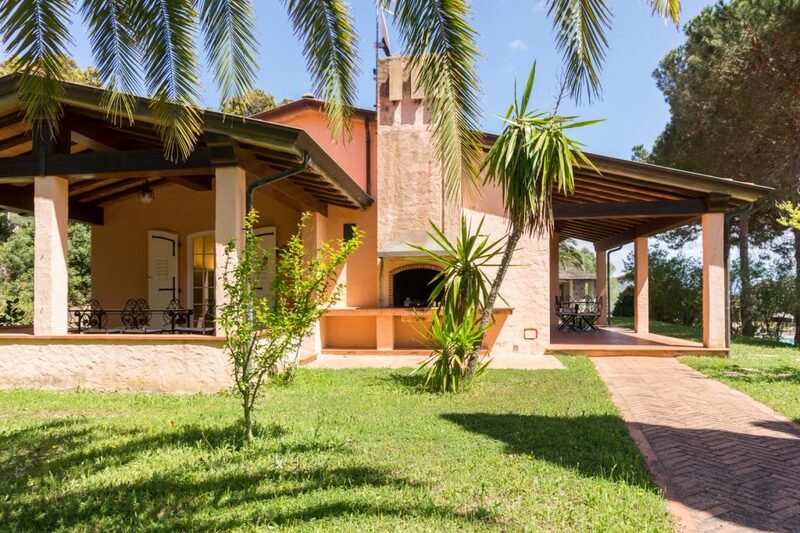 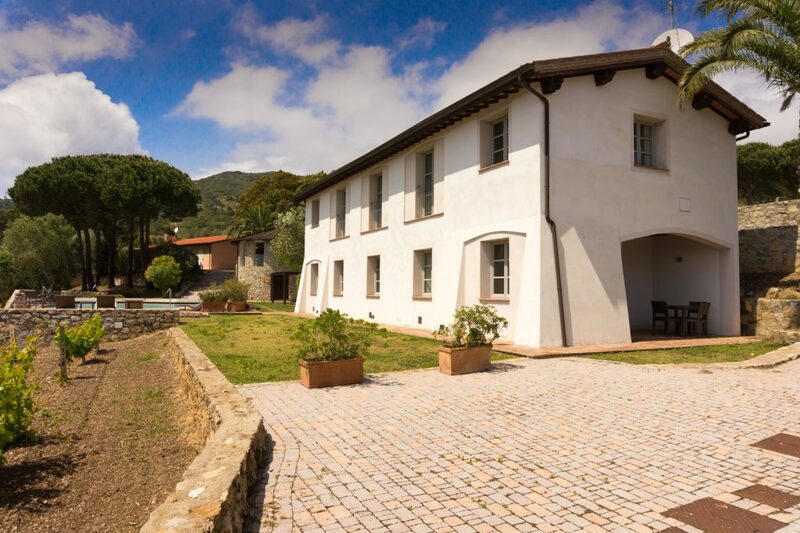 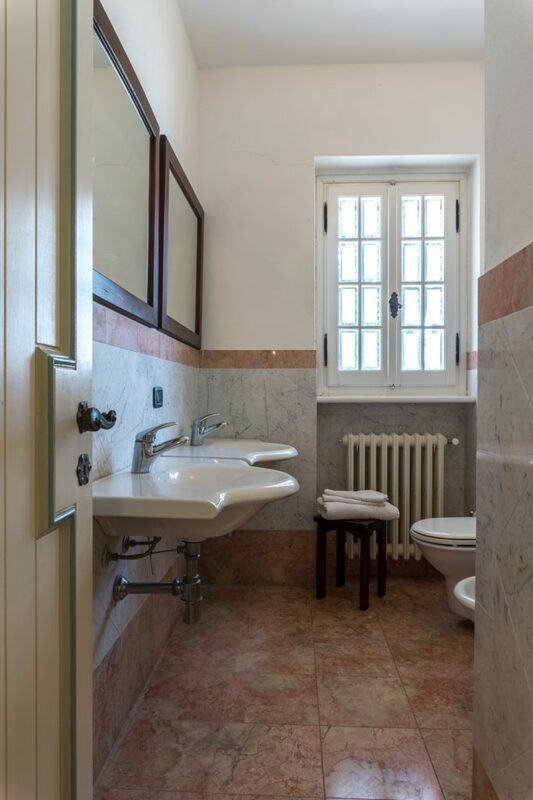 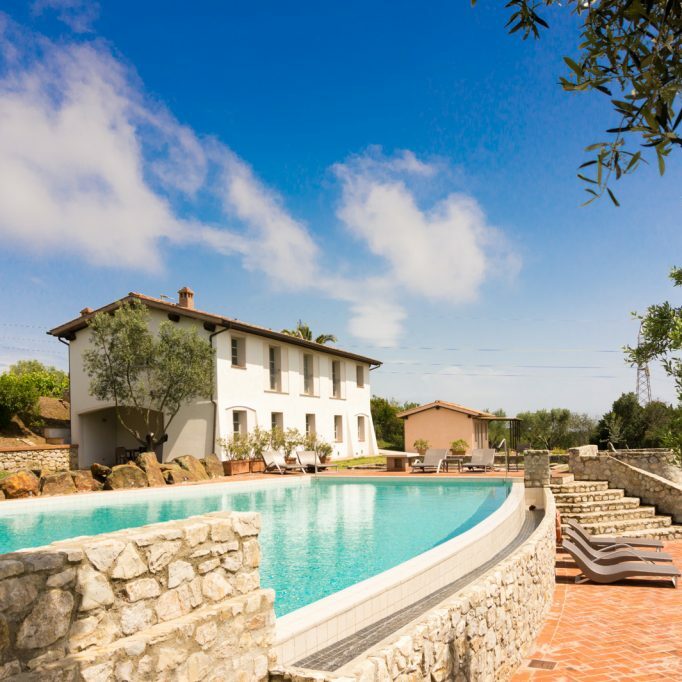 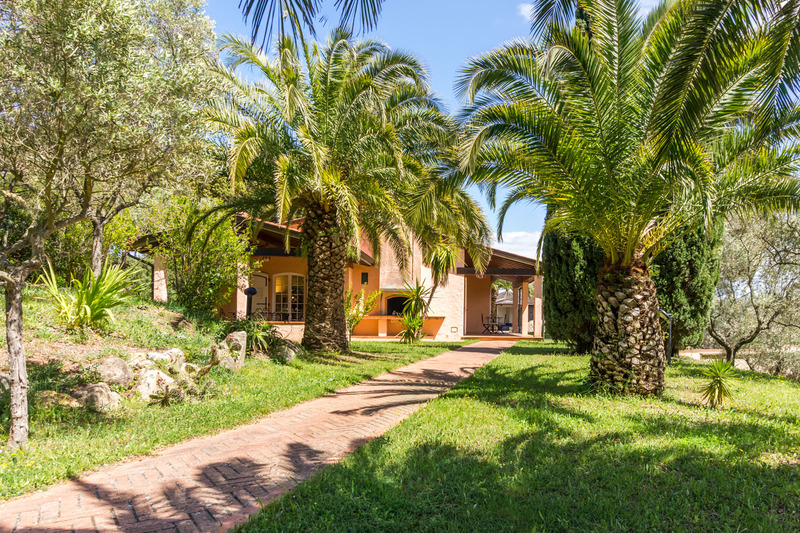 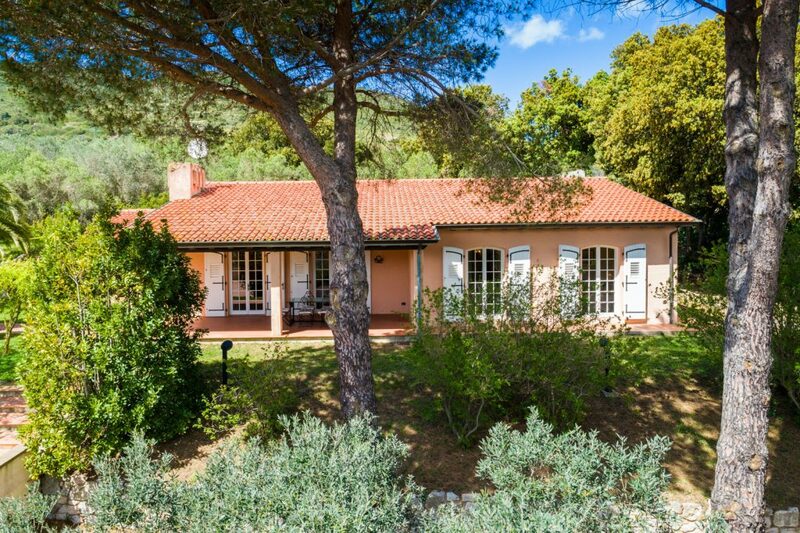 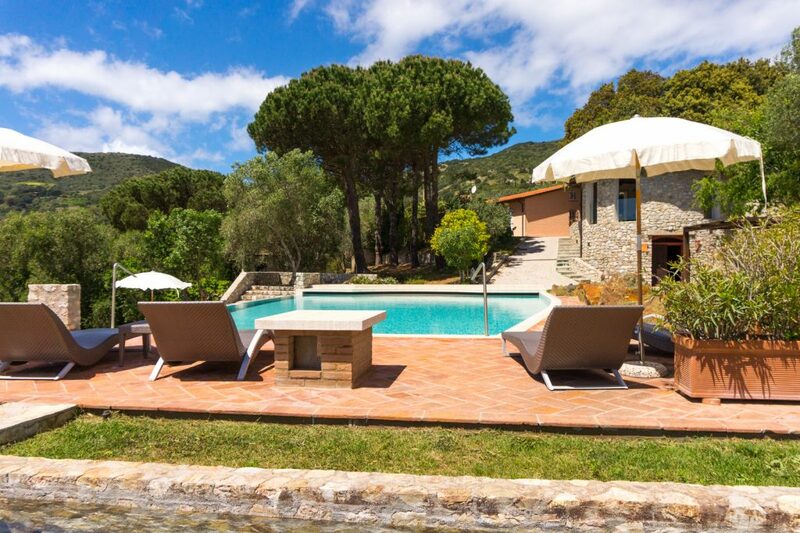 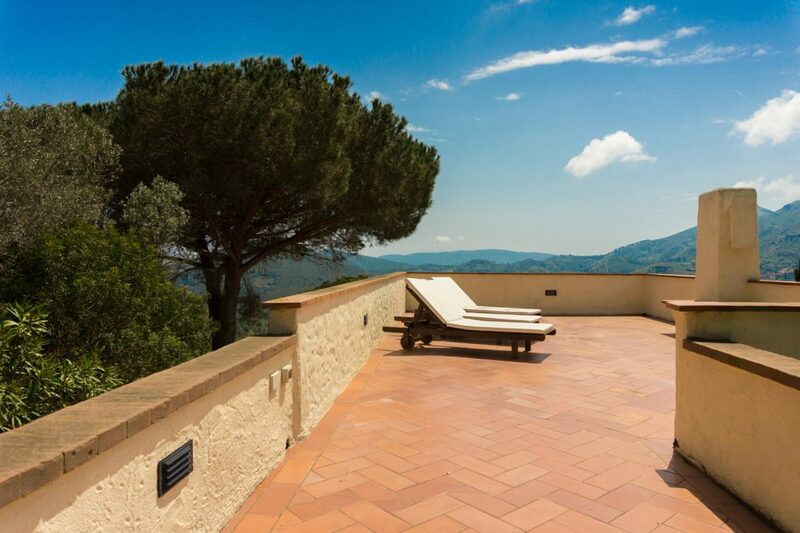 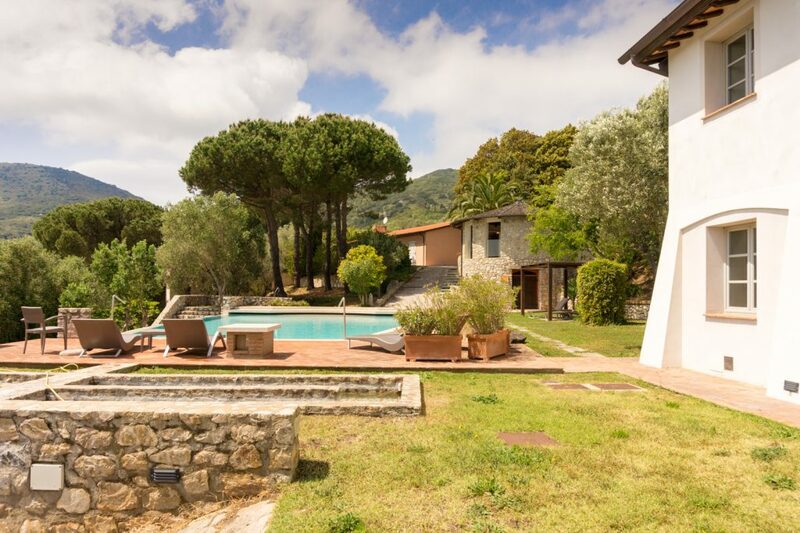 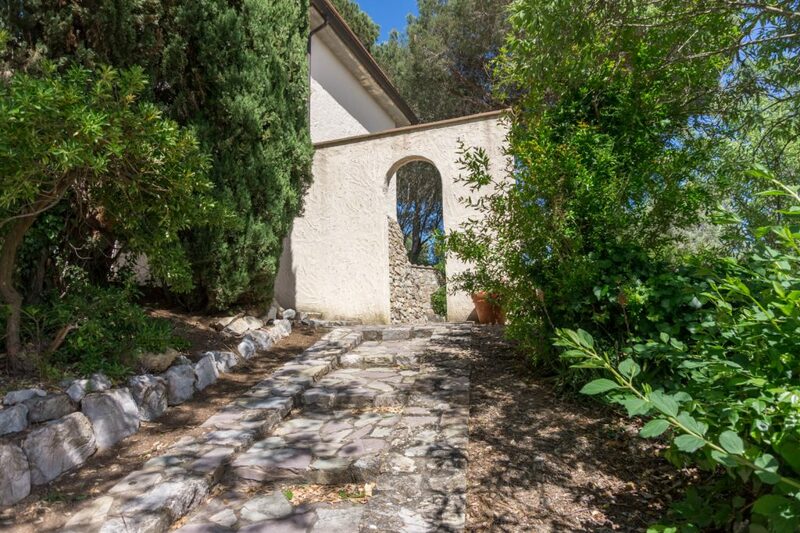 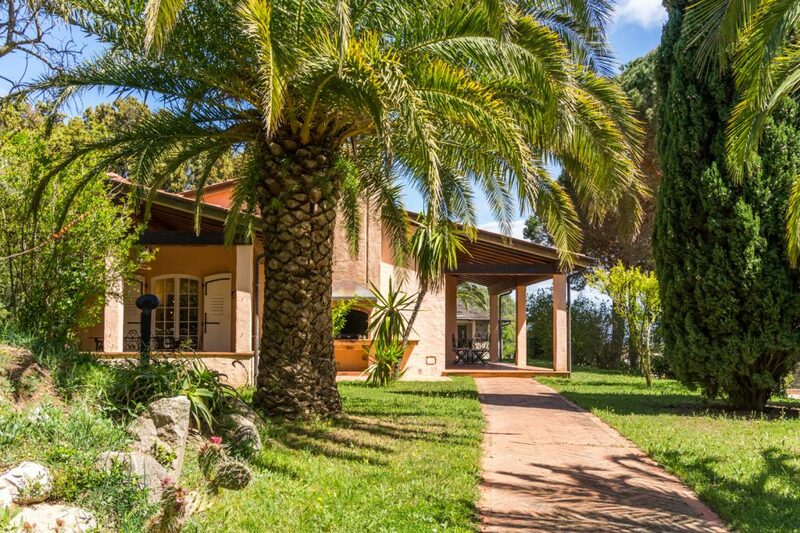 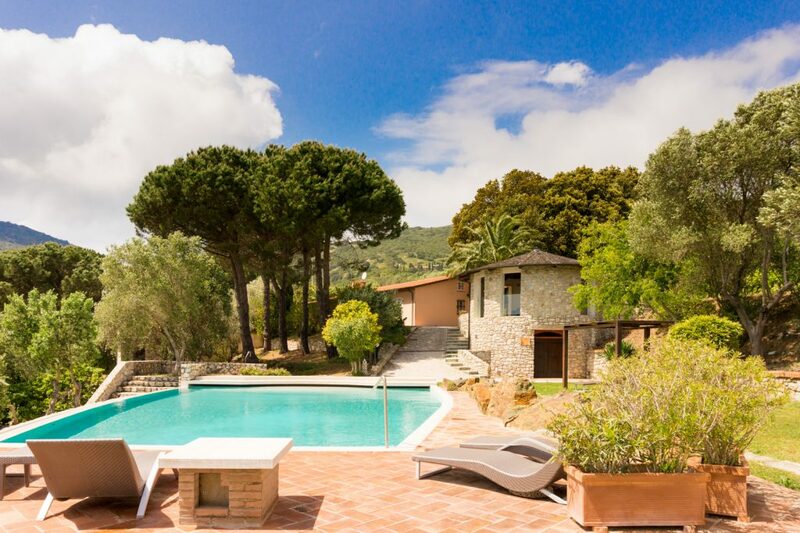 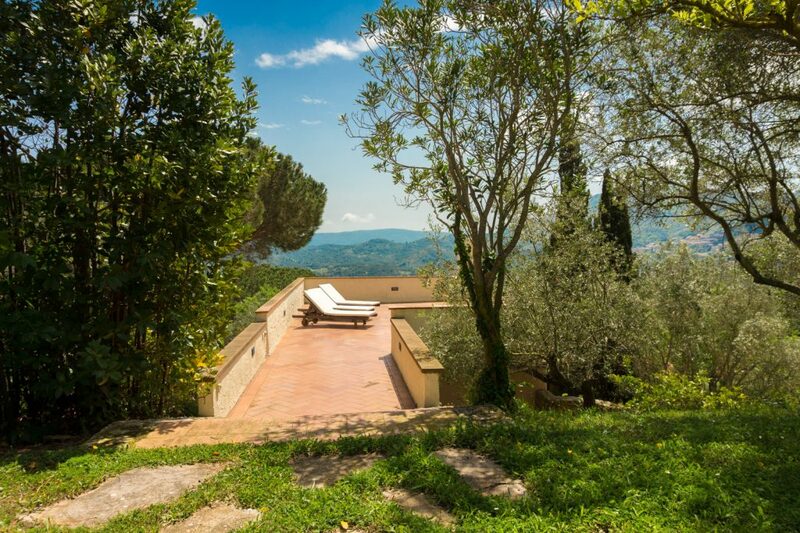 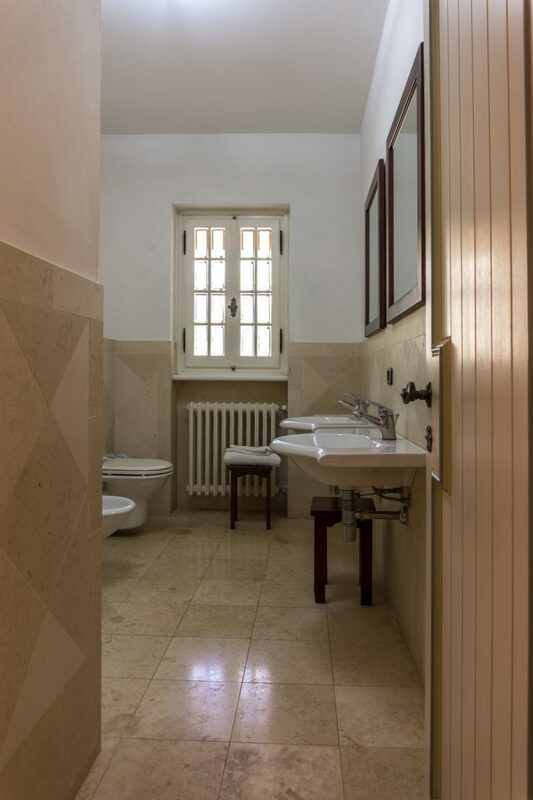 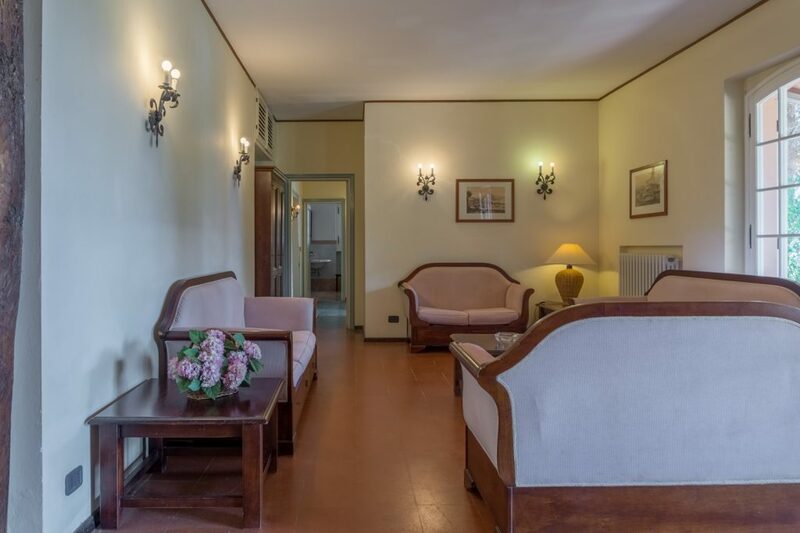 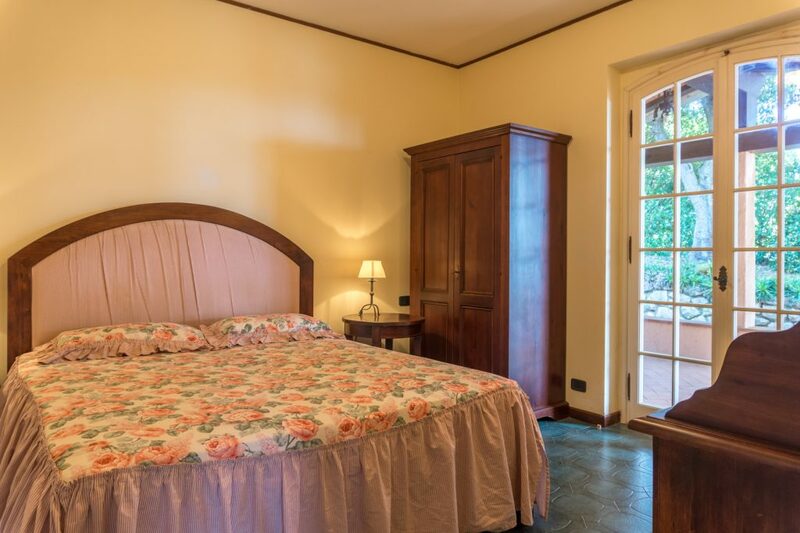 The central part of the Residence is Villa Grassera, a 150 sq.mt country house, which can accommodate up to 8 people. 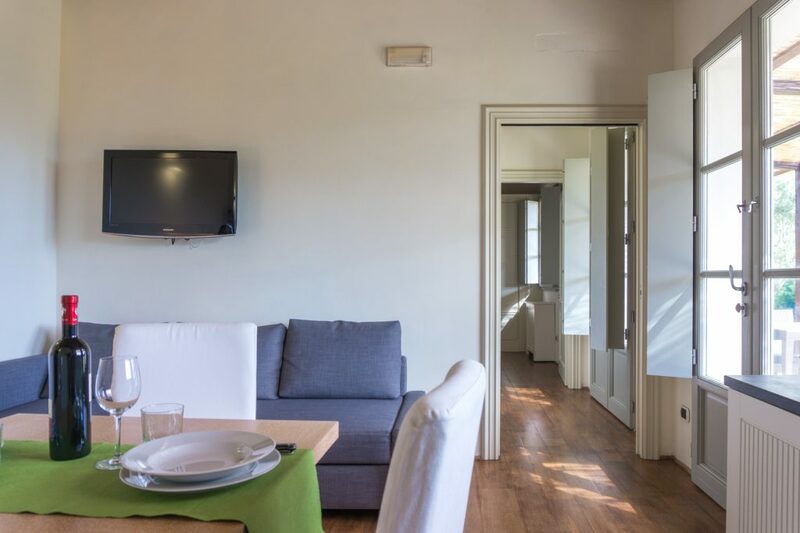 Through two furnished porticos you can get in a large living-room with sat TV and a fireplace. 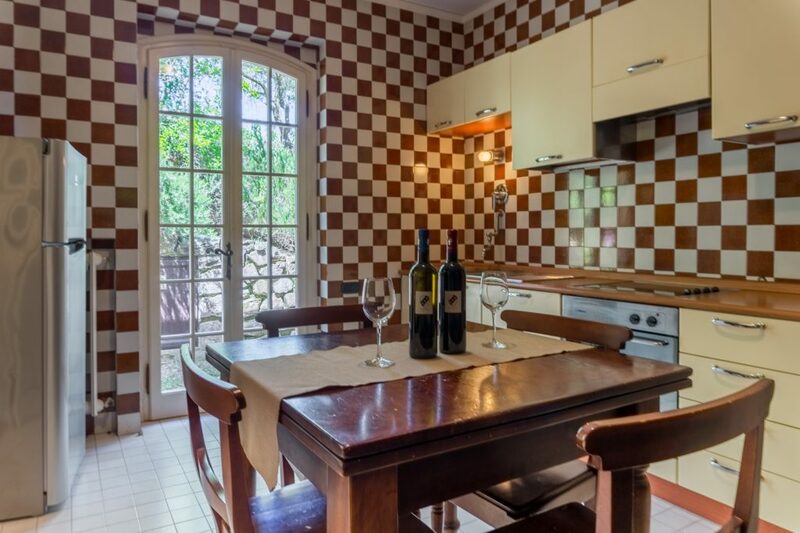 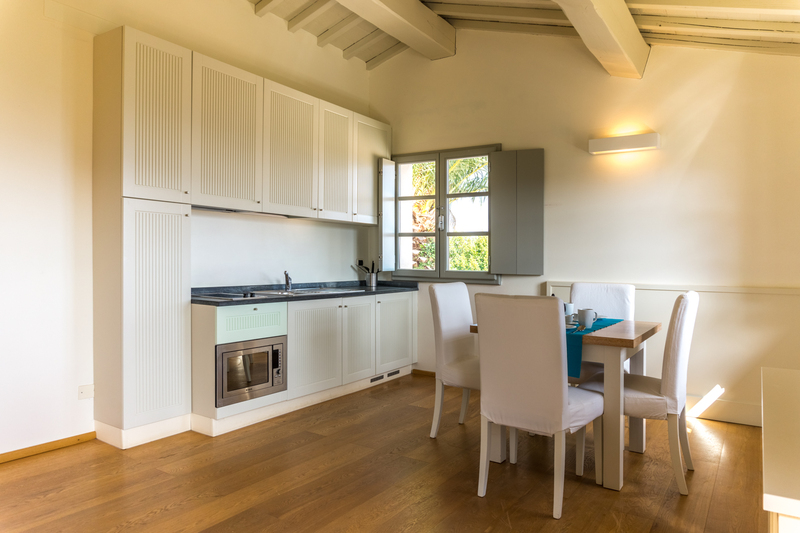 The dining-room is set besides a large equipped kitchen with a separated washing-room. 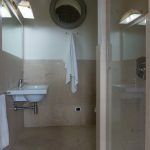 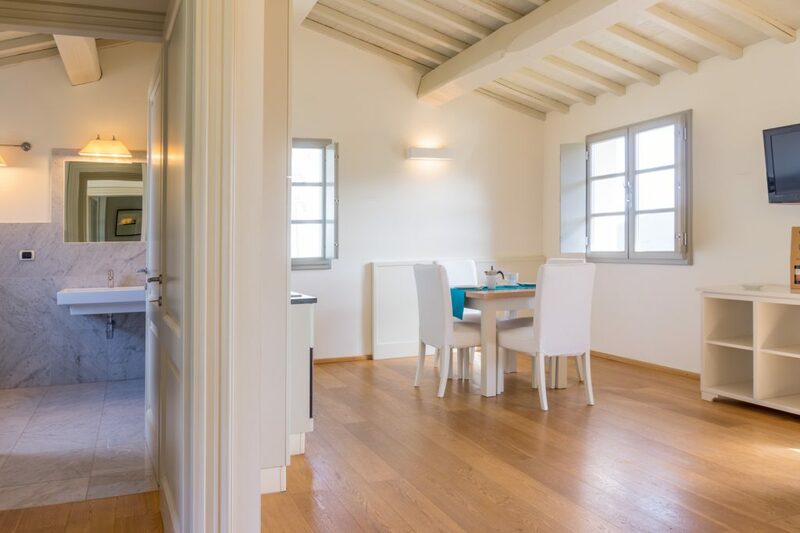 A corridor takes to the 3 double bedrooms and the 2 bathrooms. 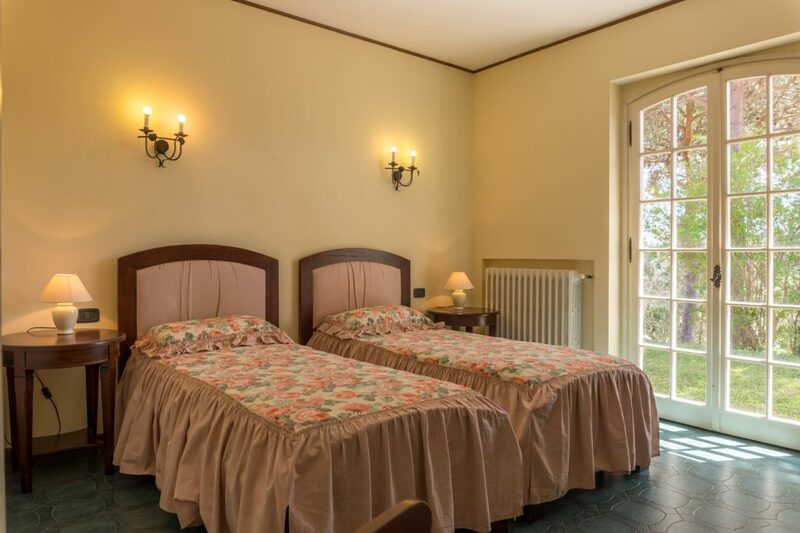 The furniture are elegant and in classical style. 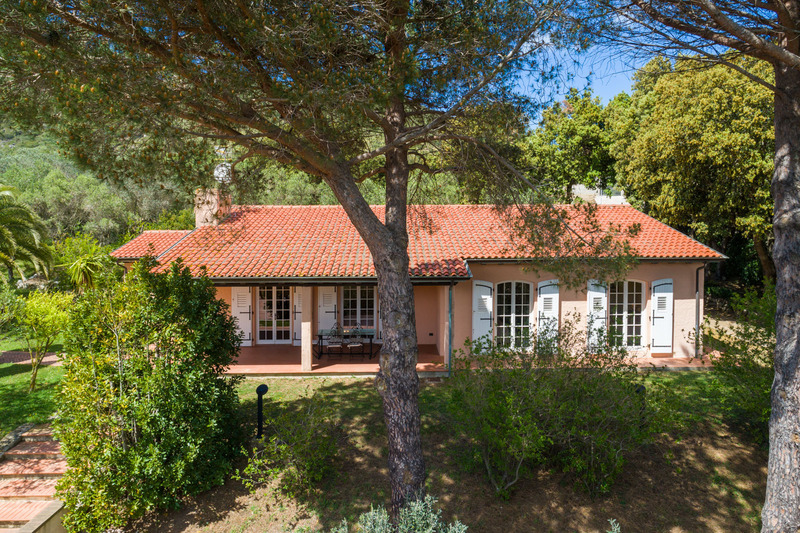 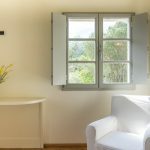 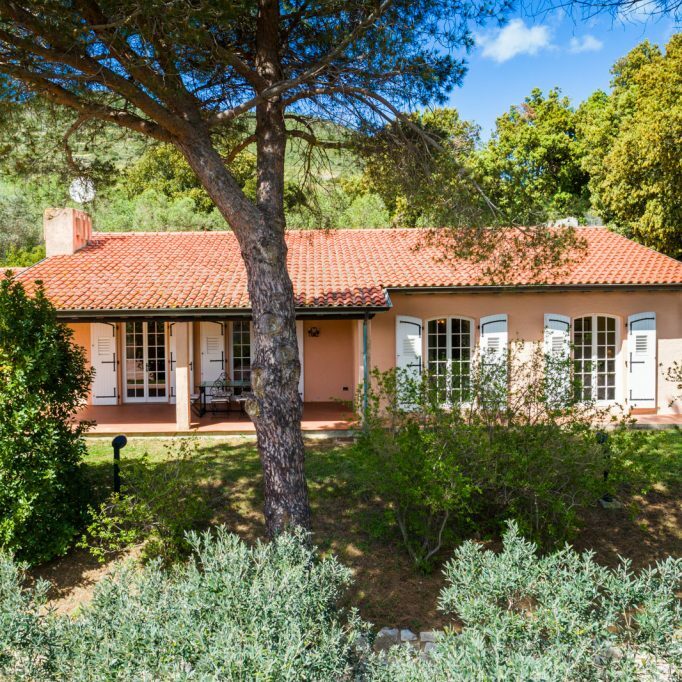 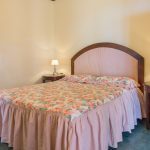 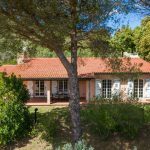 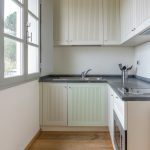 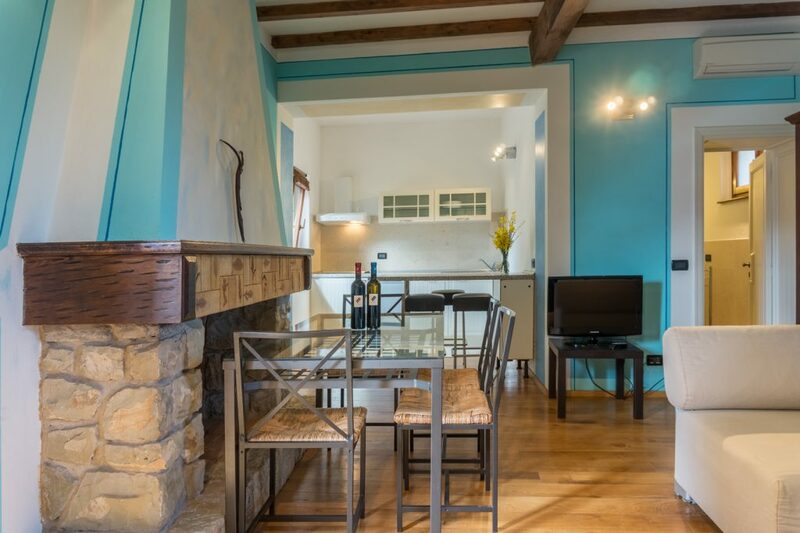 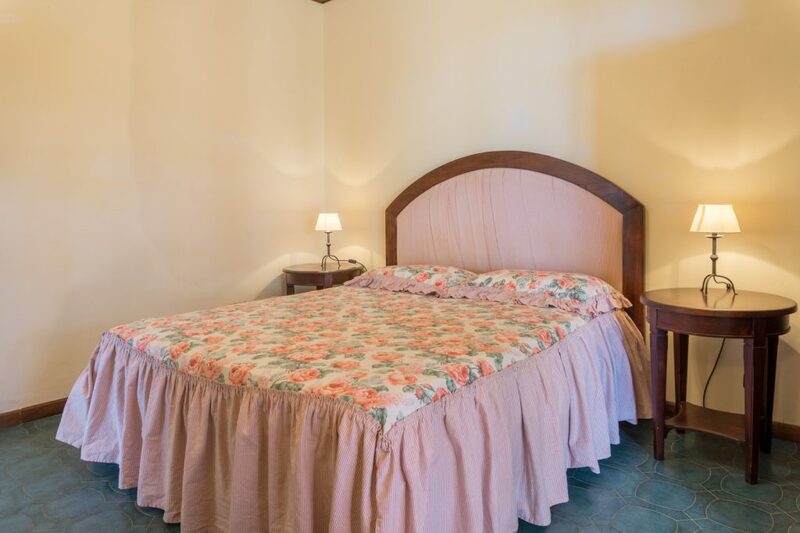 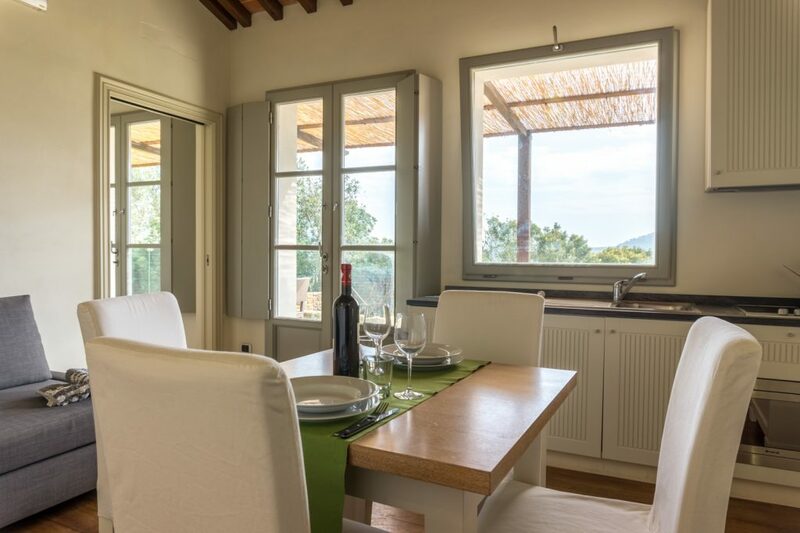 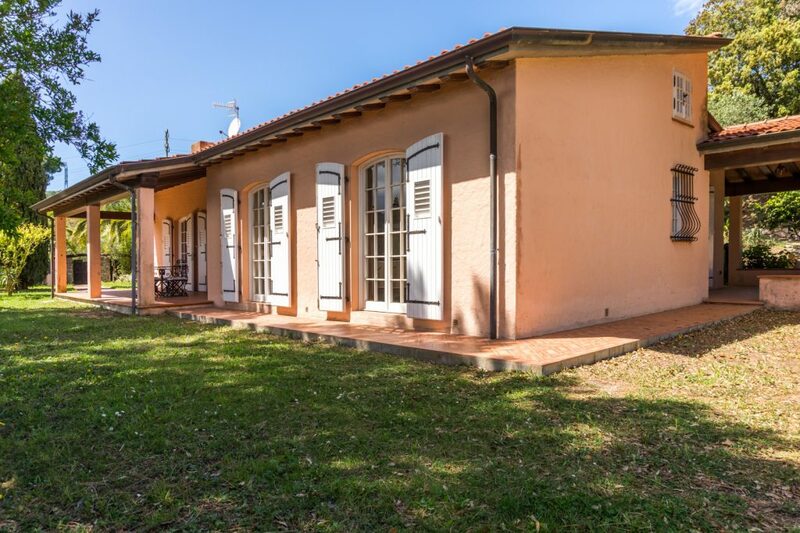 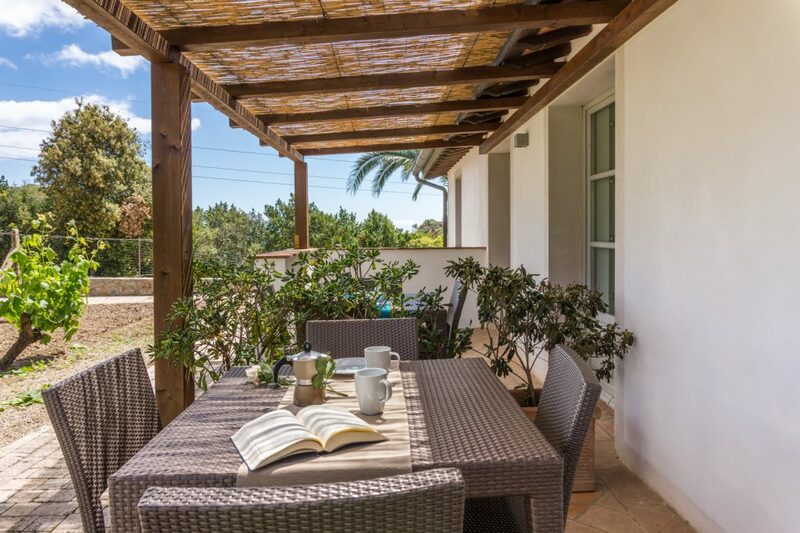 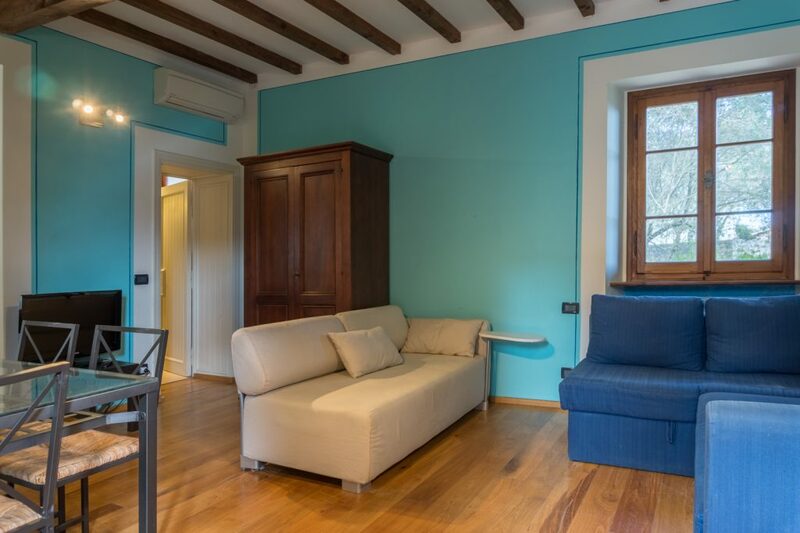 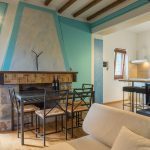 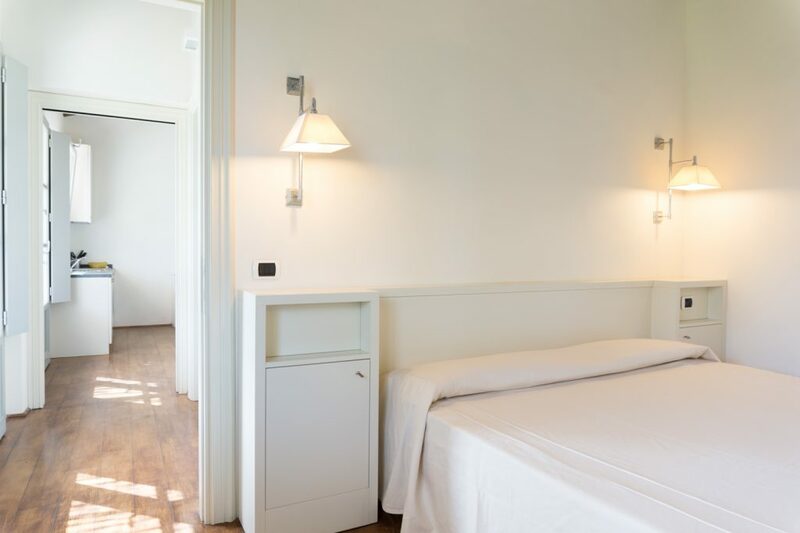 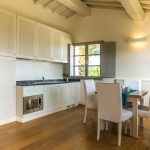 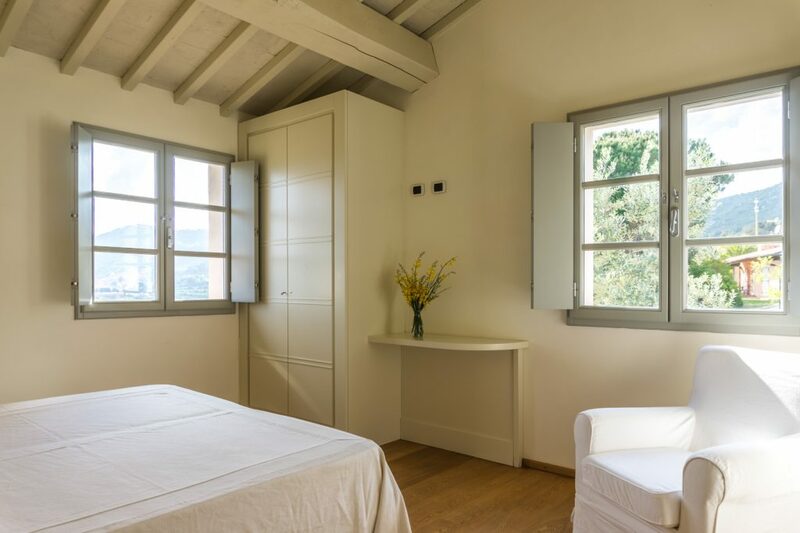 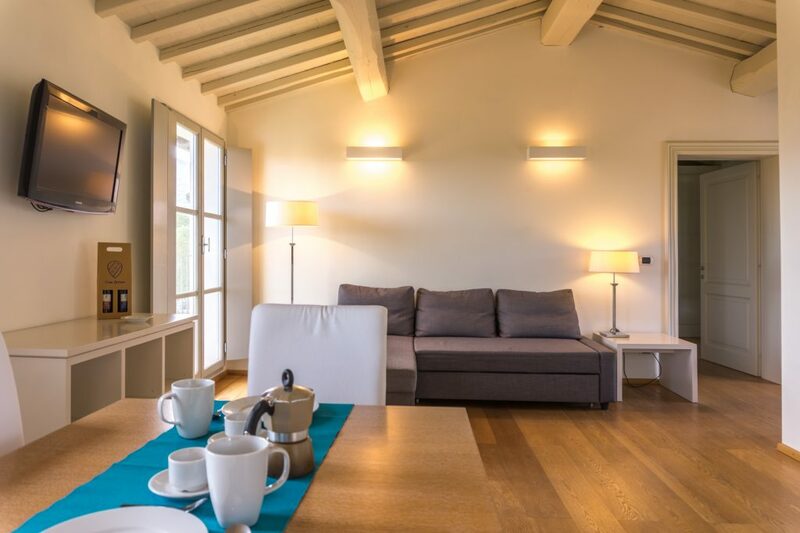 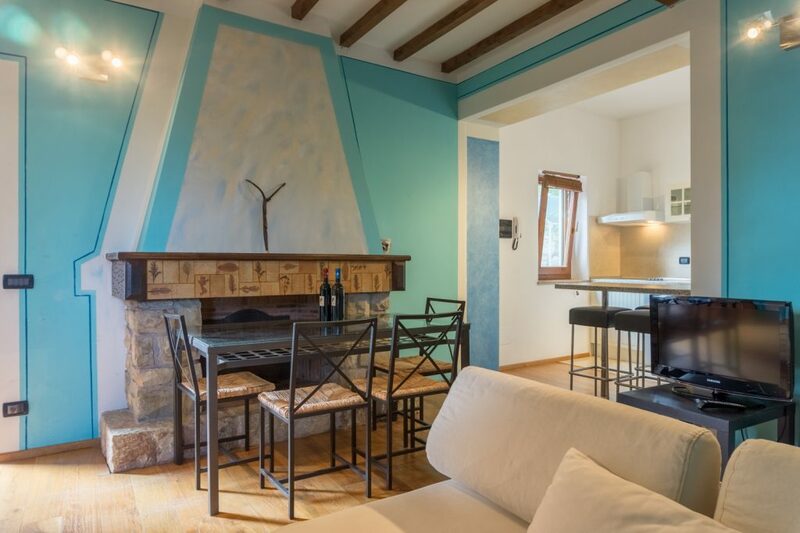 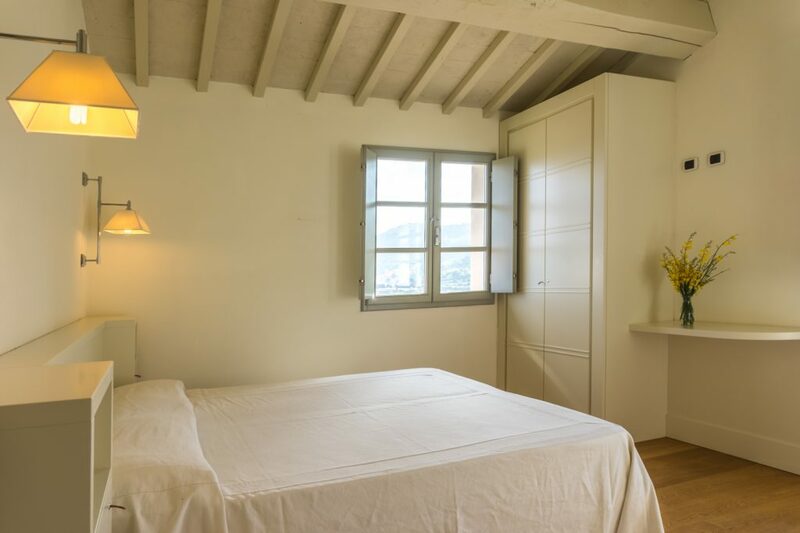 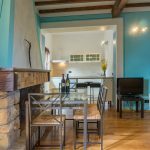 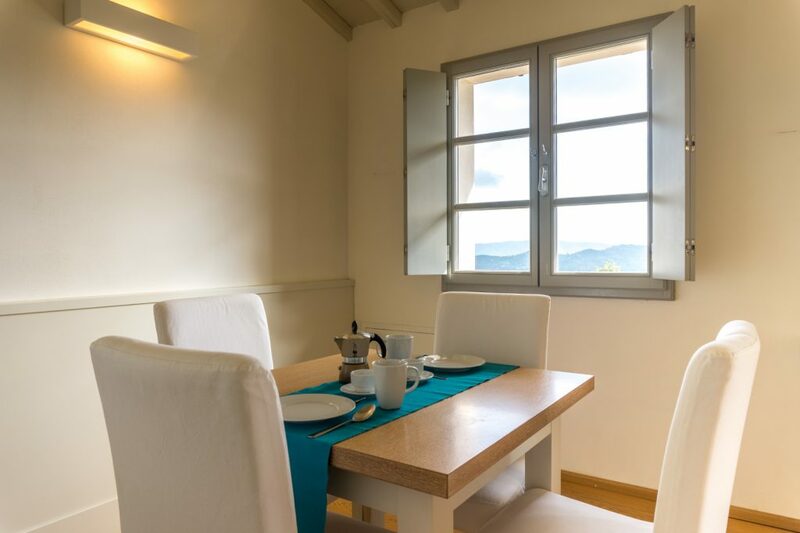 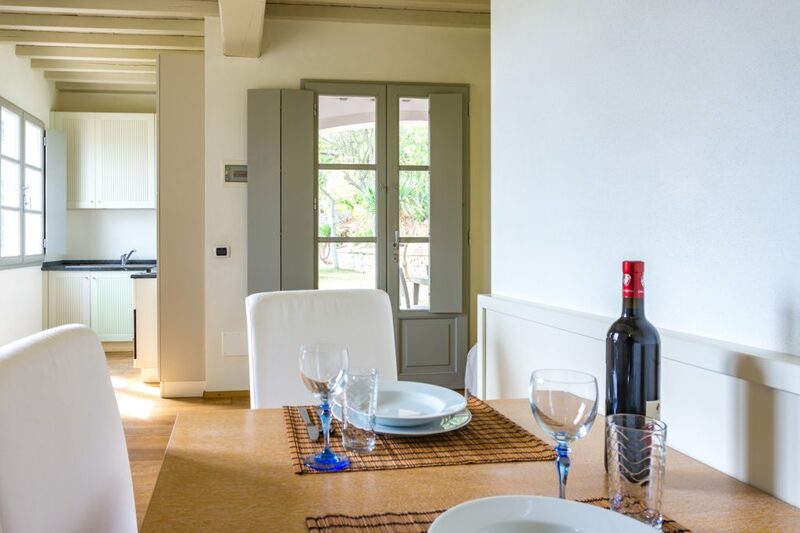 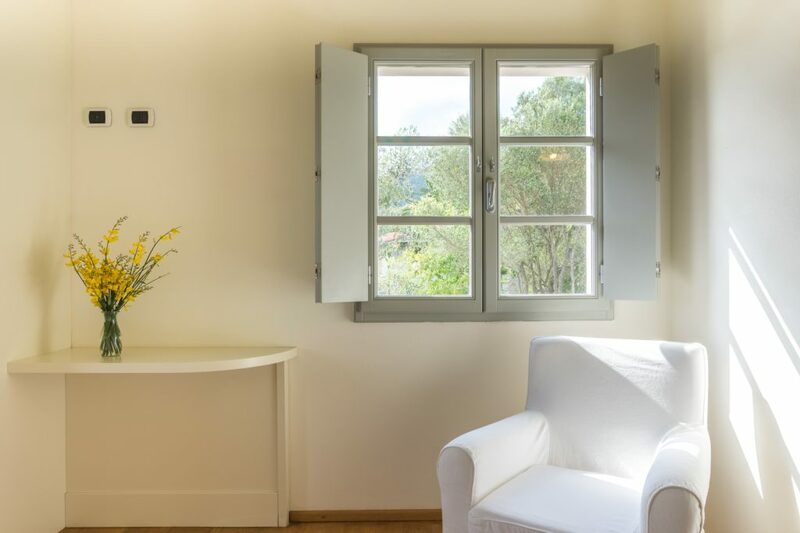 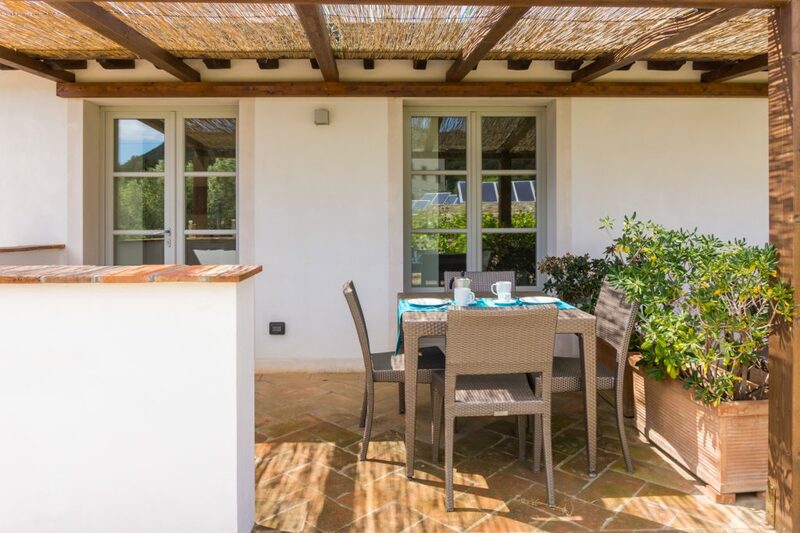 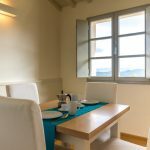 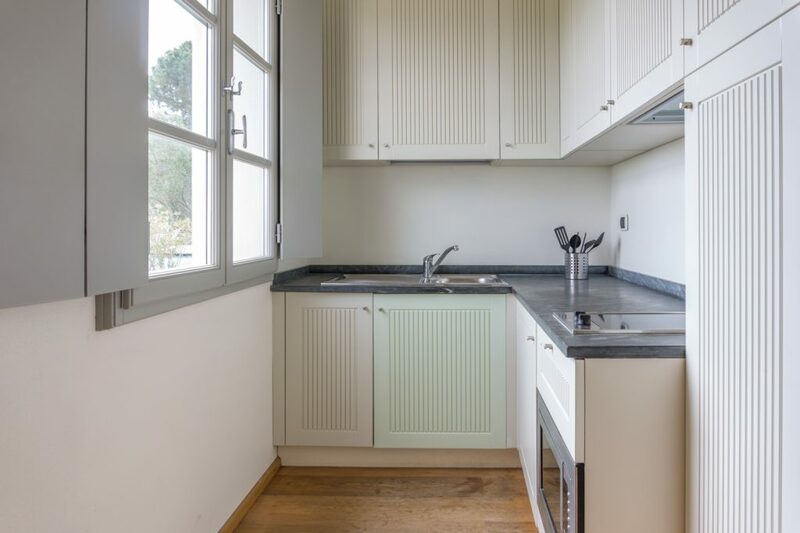 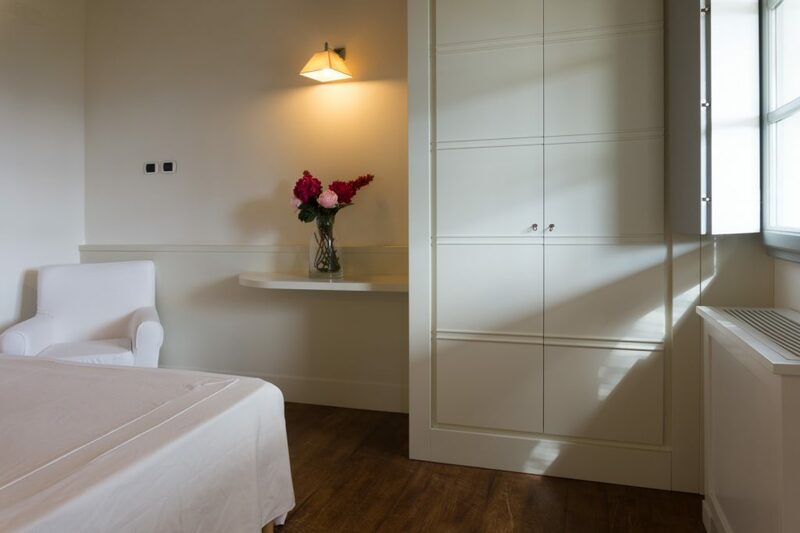 Just below the main house, you can find the Dependance, which is set over two levels, each with one-room flat with independent entrance, furnished in modern style. 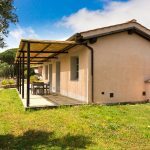 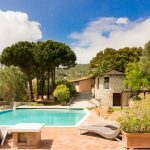 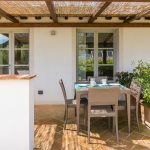 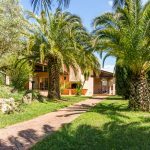 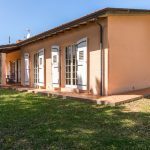 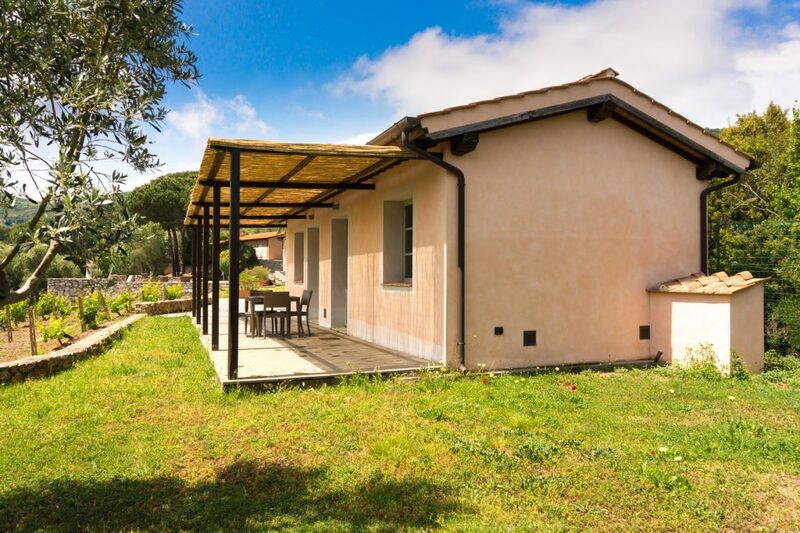 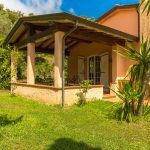 Behind the swimming pool lies La Mimosa: a small house, il Rustico (two – room apartment) and another two – storey building with a total of 4 apartments (one and two – room apartments). 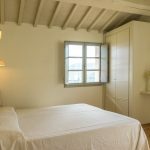 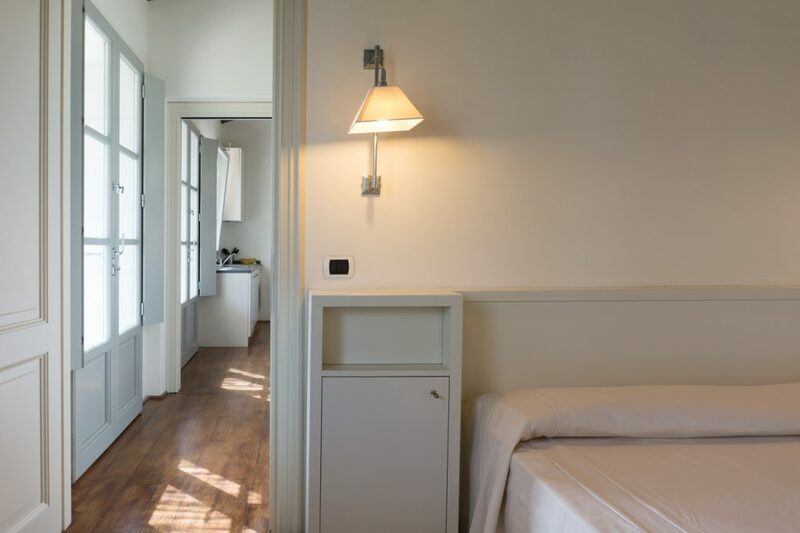 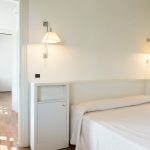 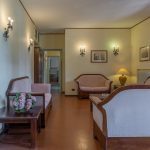 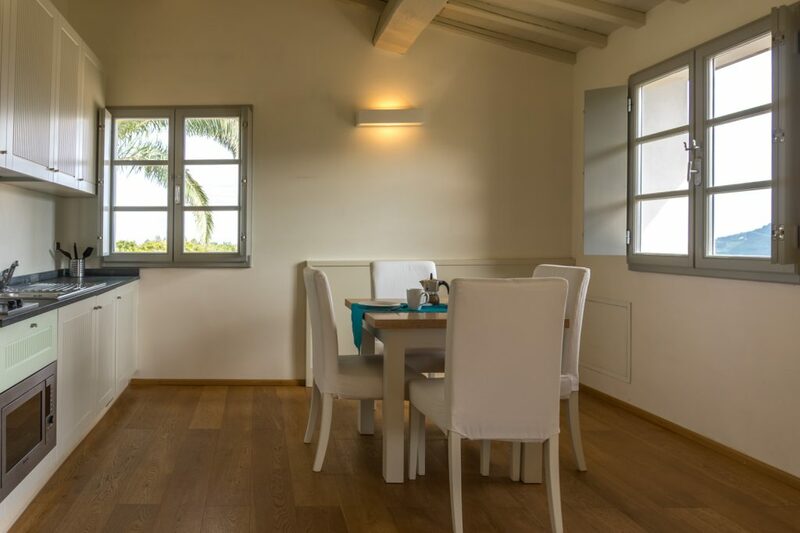 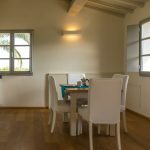 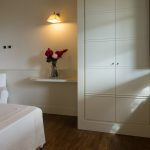 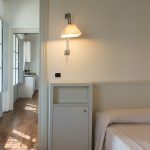 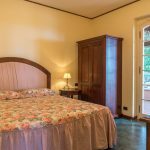 Residence La Chiusa di Rio is an ideal starting point to visit everyday a different beach or bay. 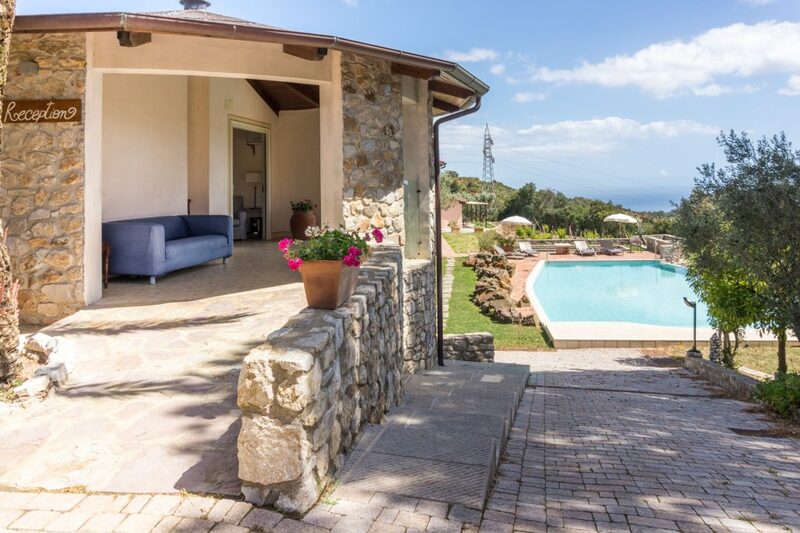 The closest ones are Nisporto, Nisportino, Topinetti, Cala Seregolaand Ortano mare. 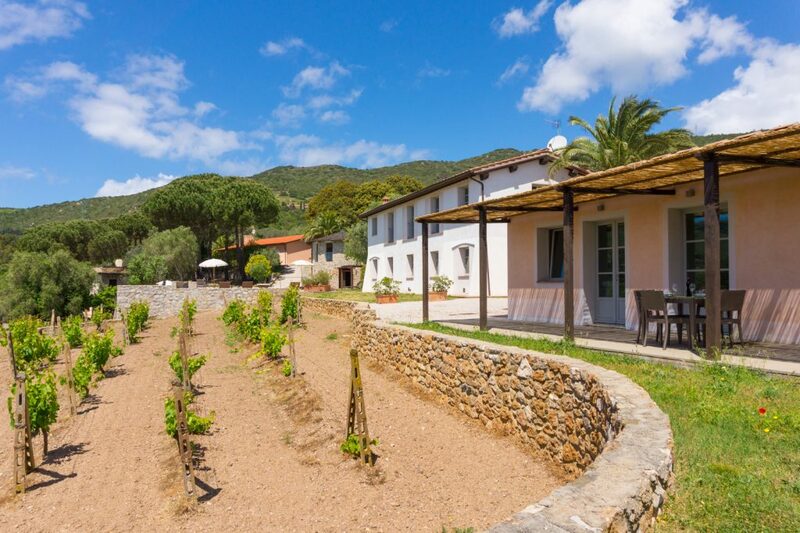 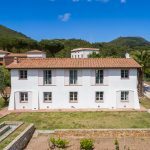 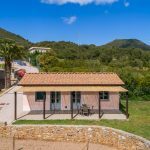 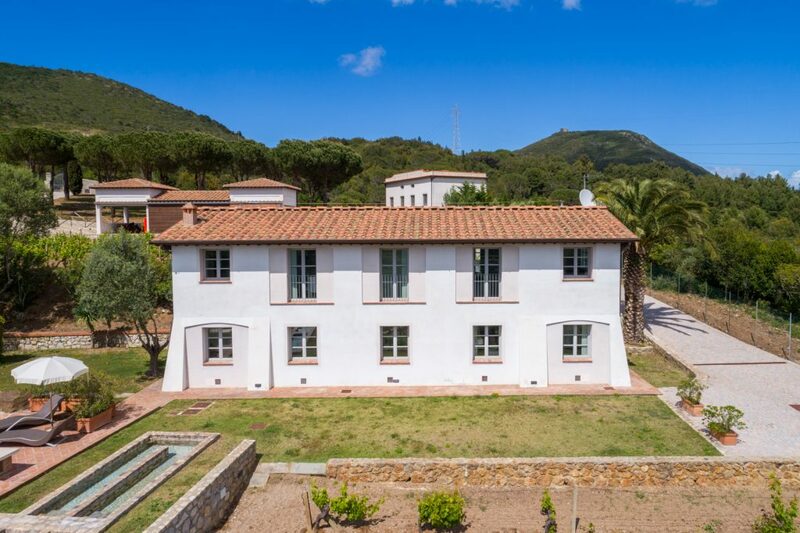 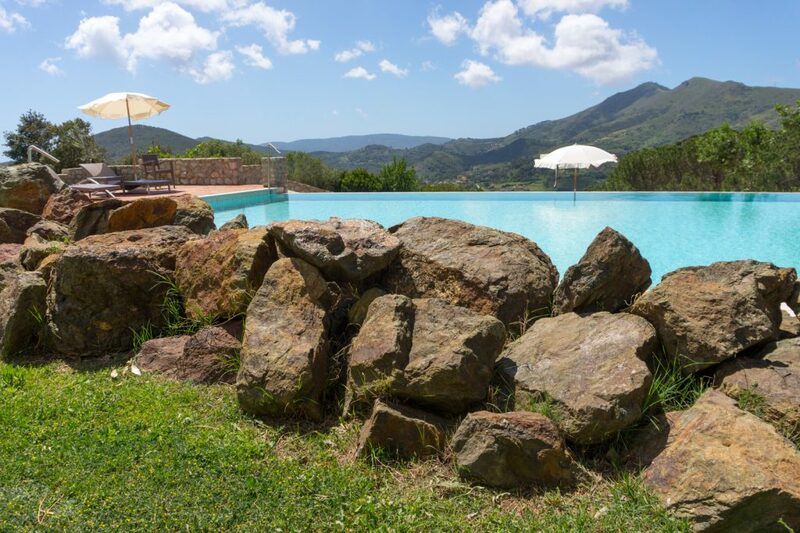 The nearby Rio nell’Elba offers several services such as supermarket, bar, restaurant, medical duty and pharmacy. 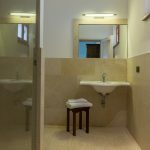 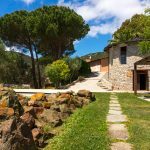 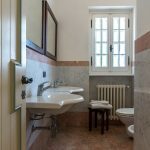 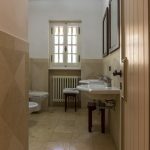 There you can also visit interesting places, like the Archeological Museum, Santa Caterina Hermitage (nowadays hosting the botanical garden Orto dei Semplici), The ancient Wash-House and the Canals Spring.